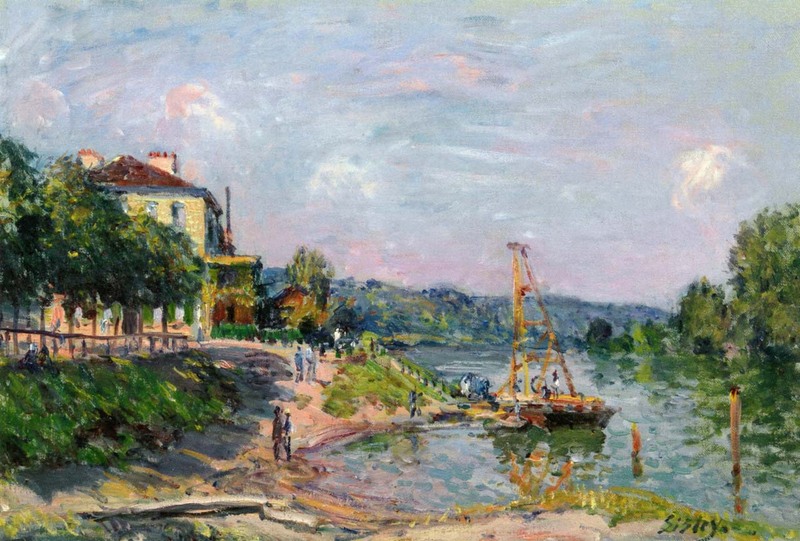 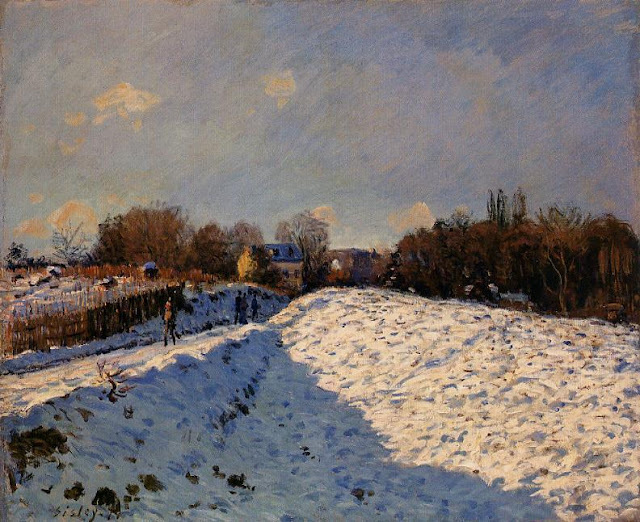 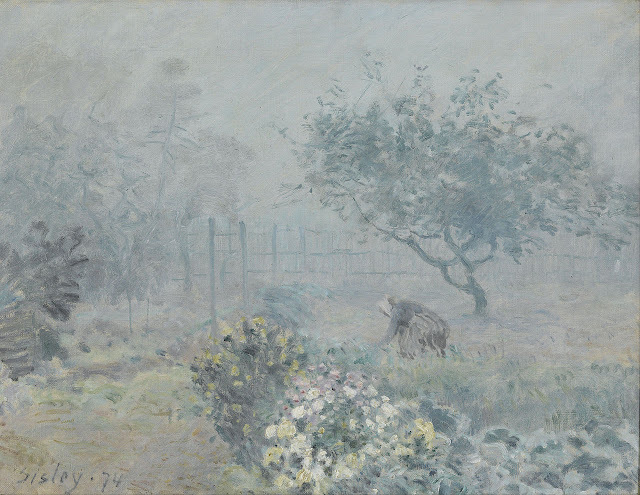 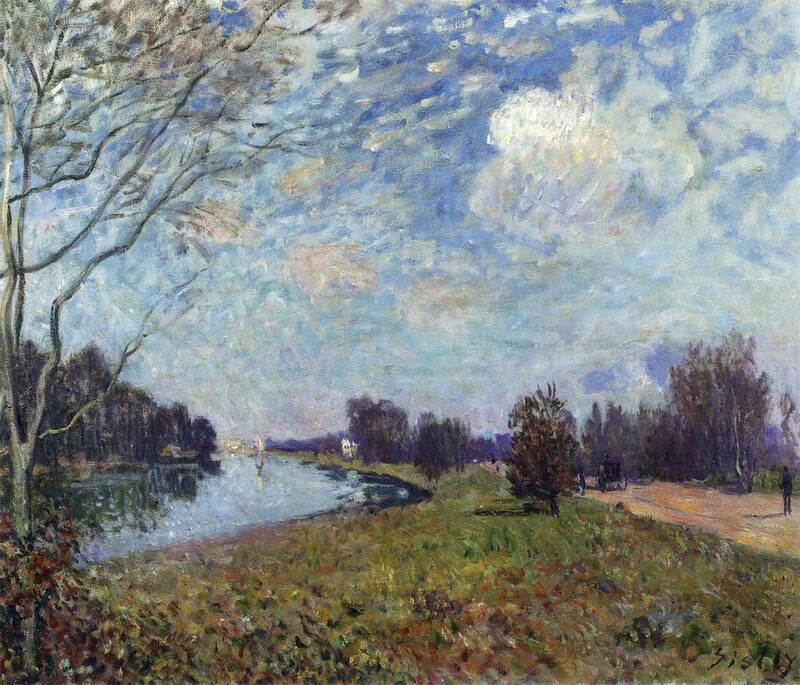 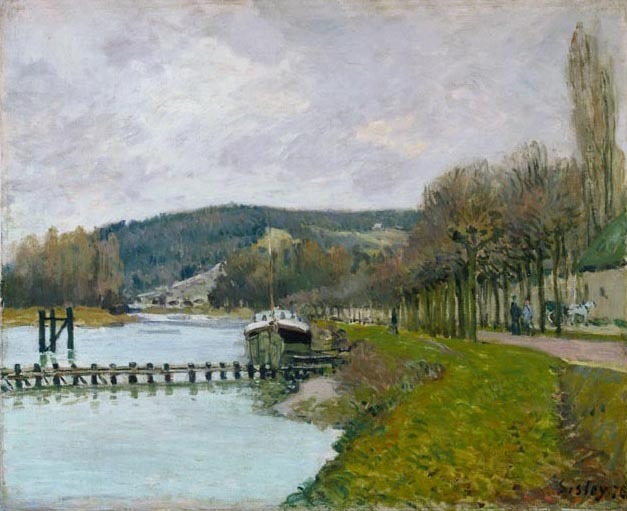 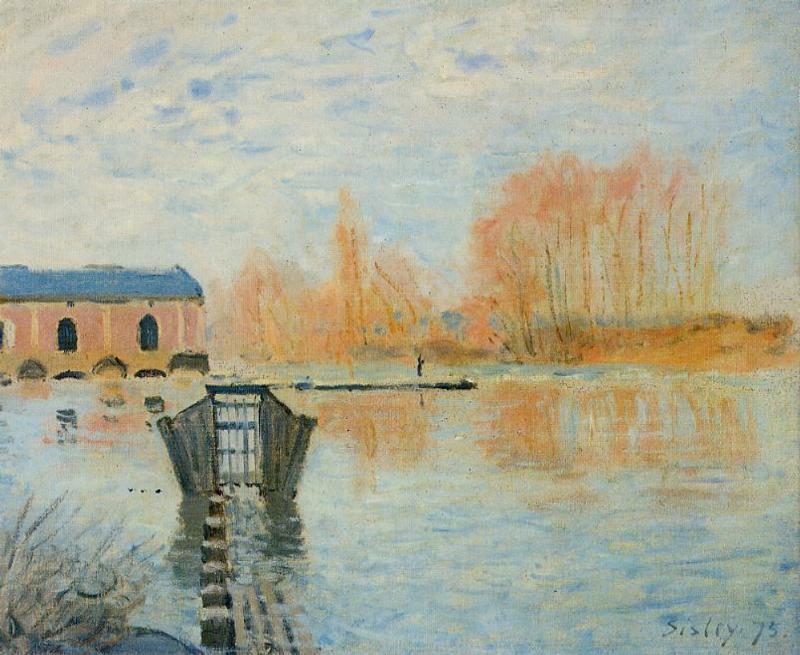 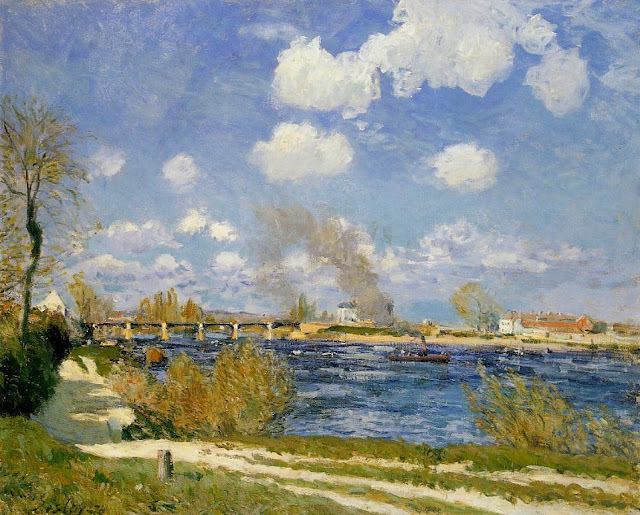 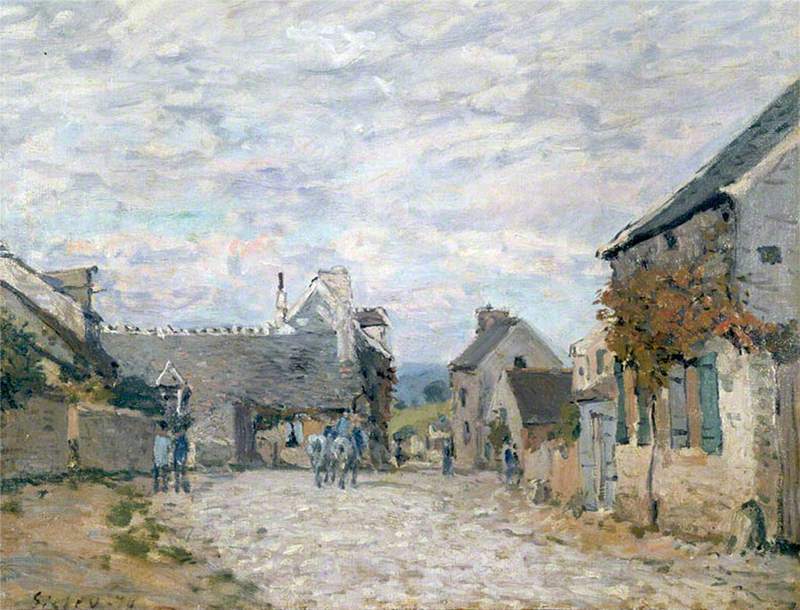 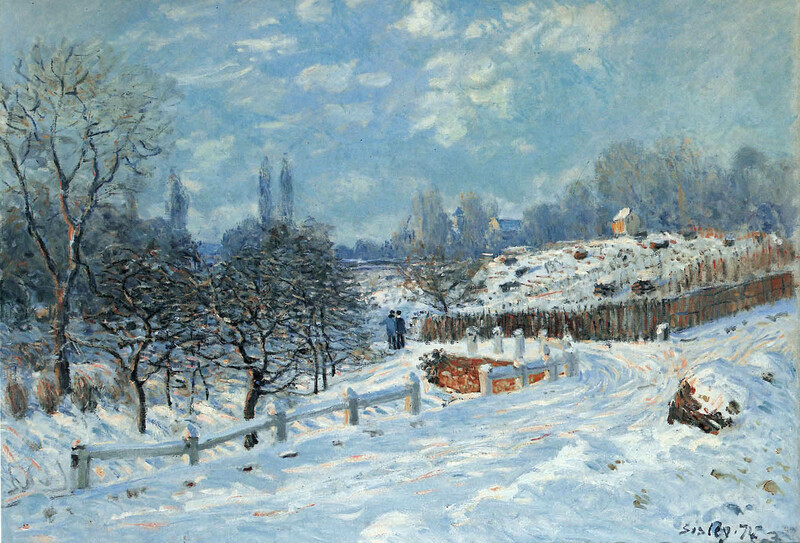 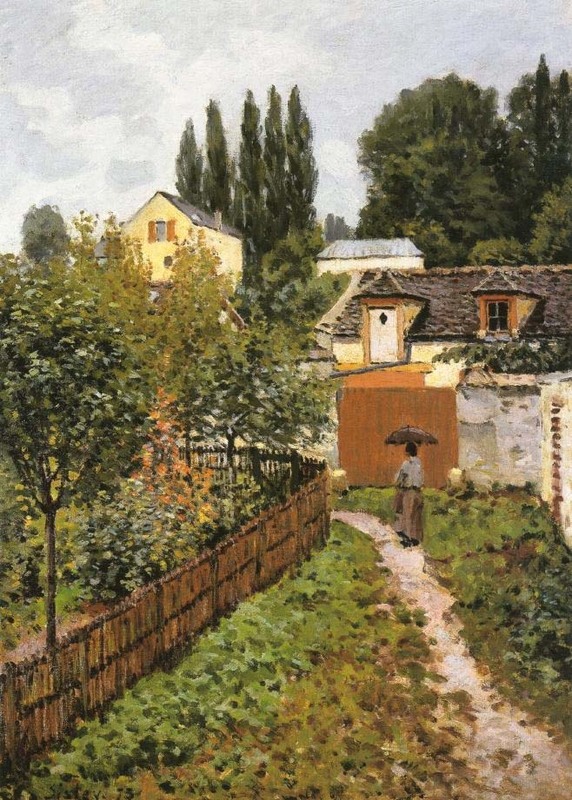 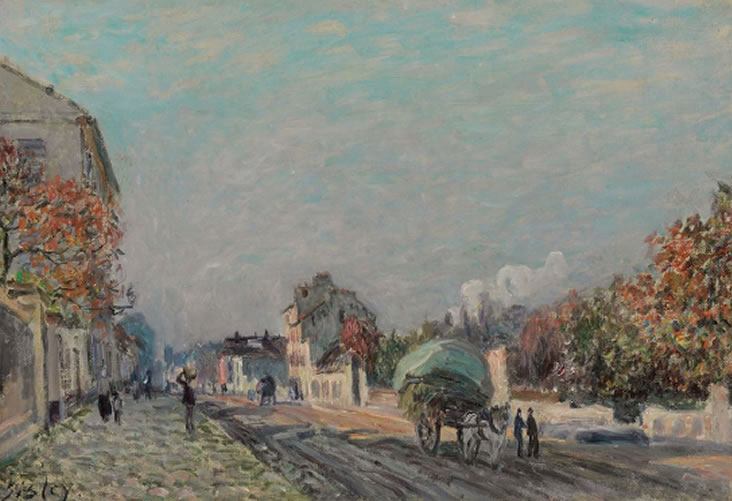 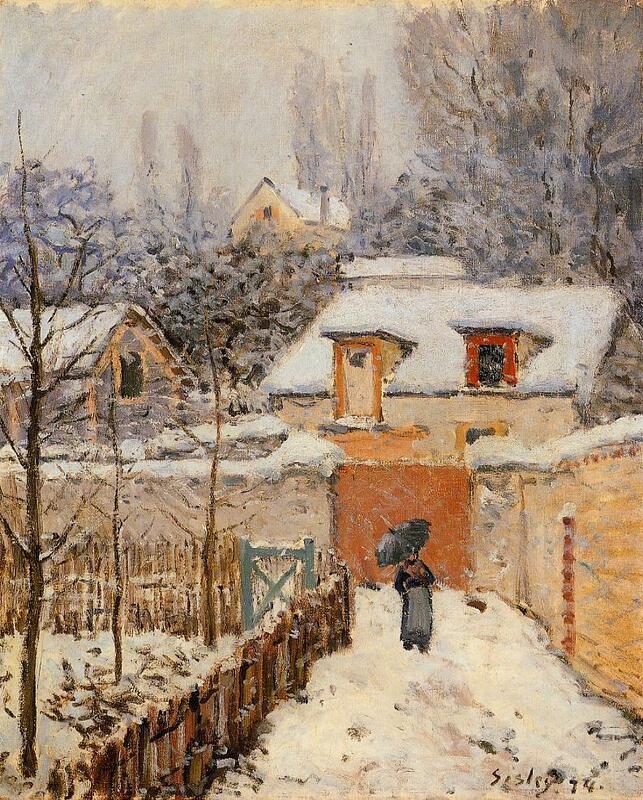 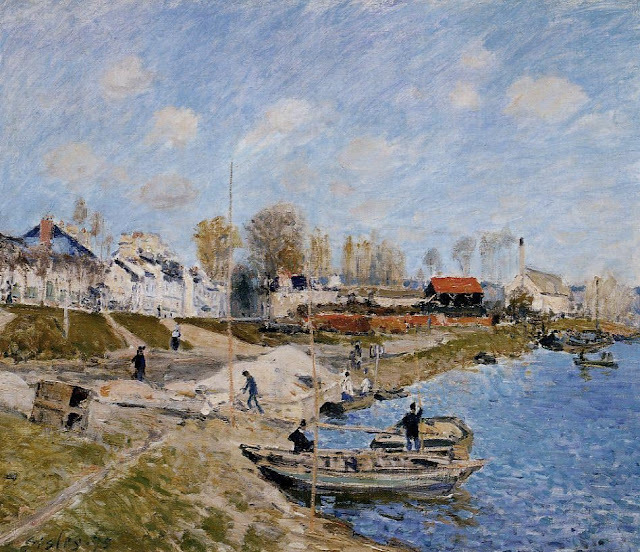 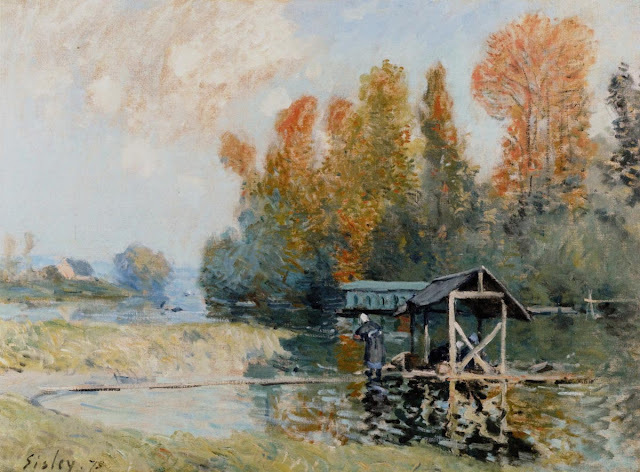 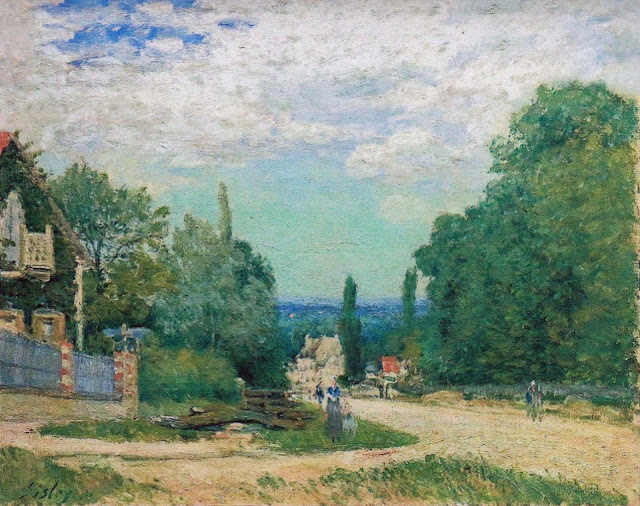 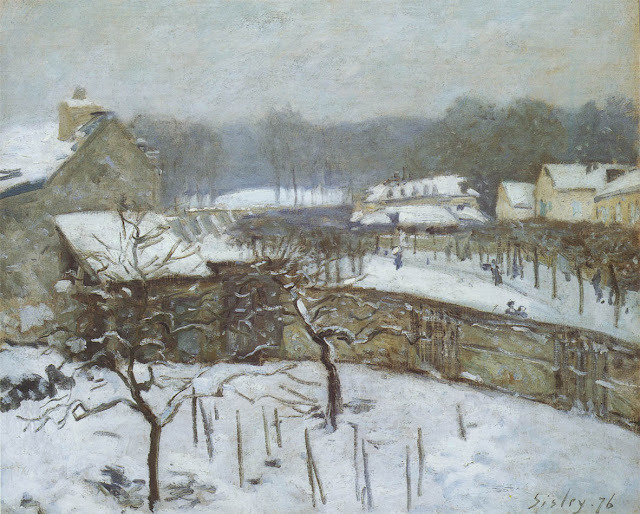 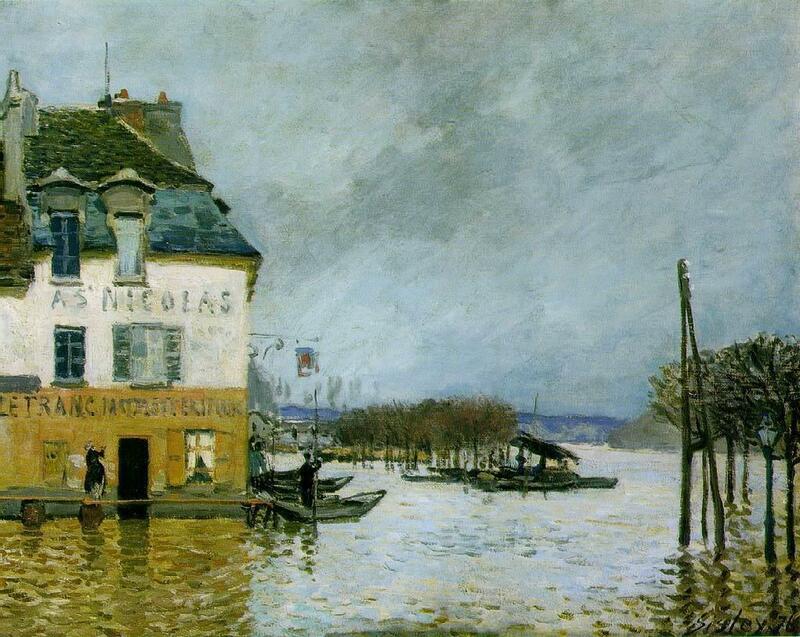 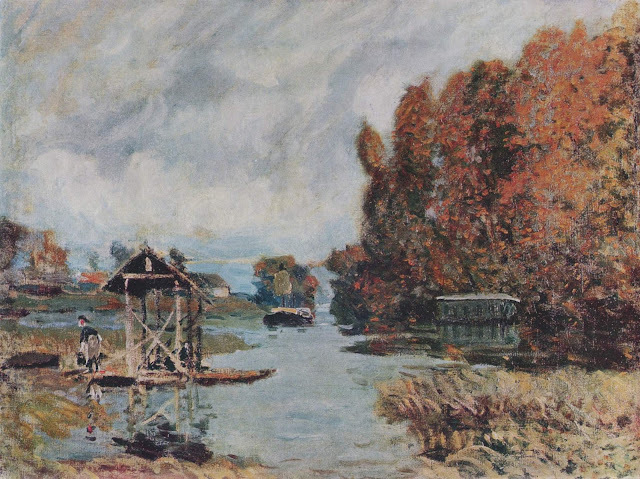 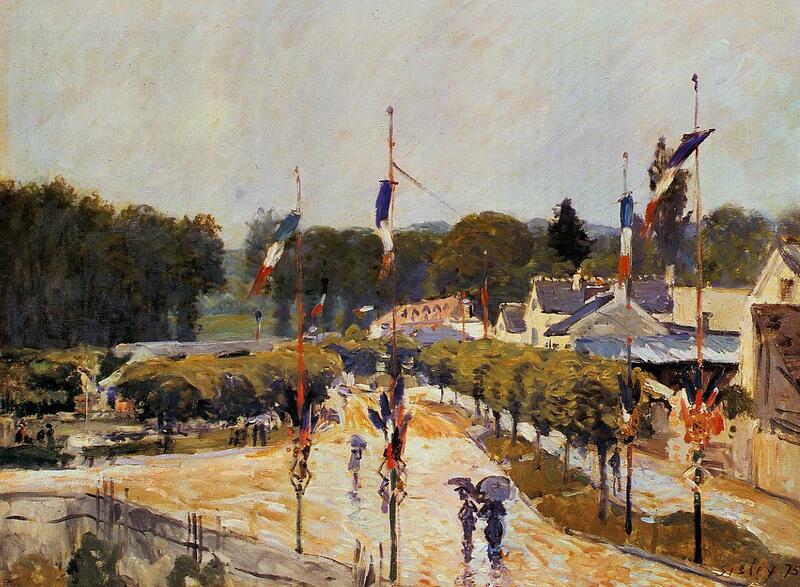 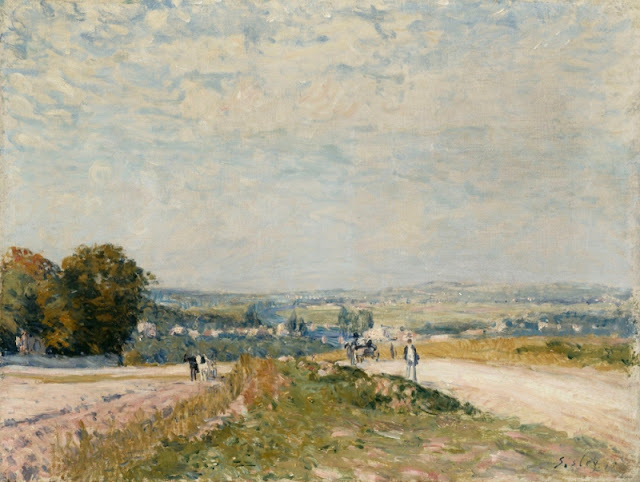 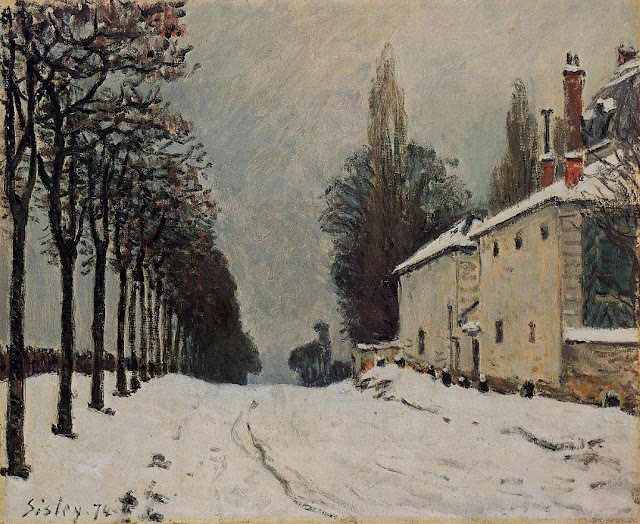 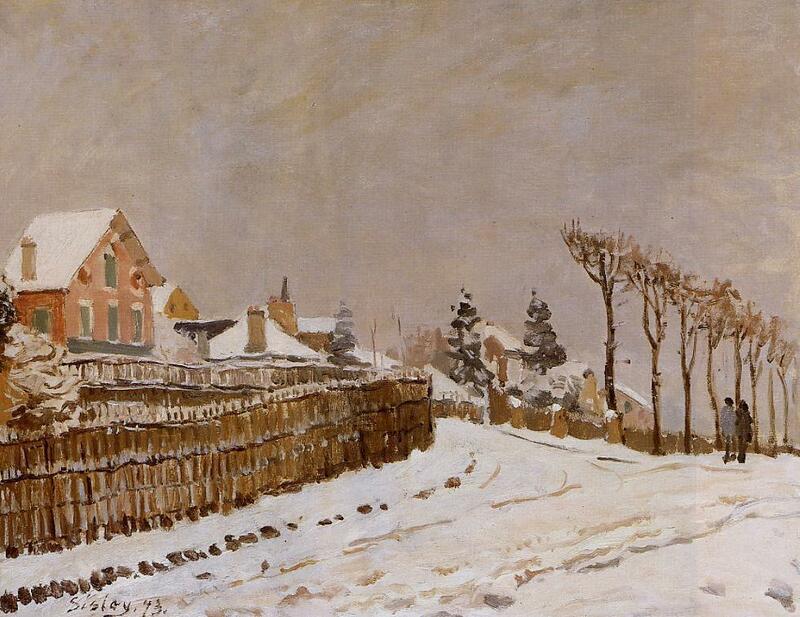 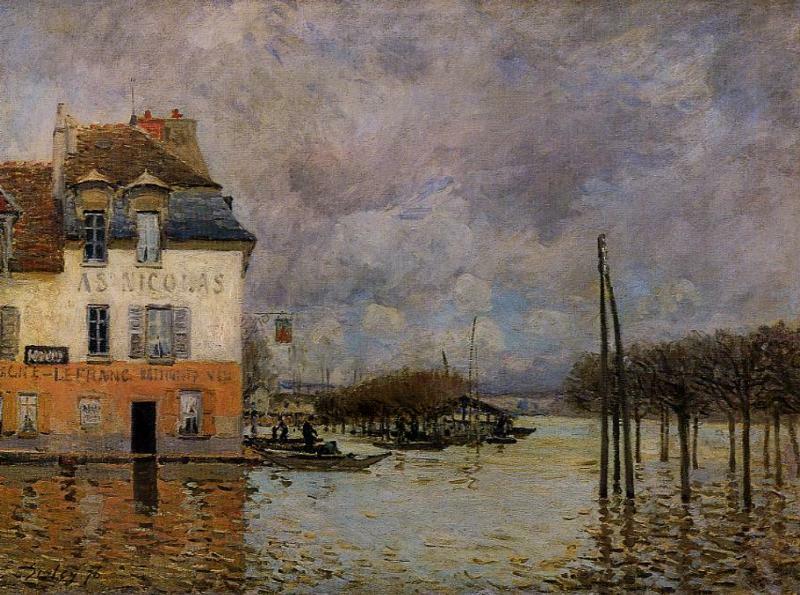 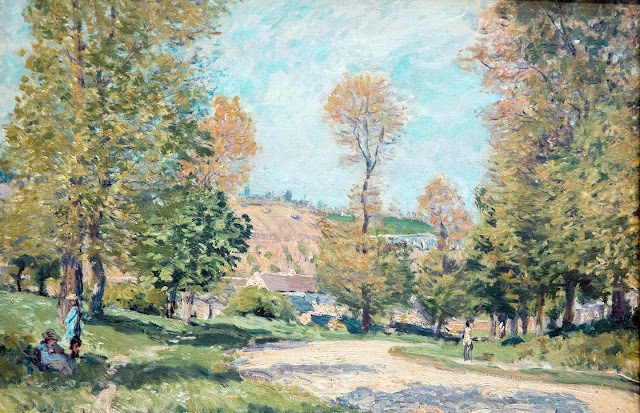 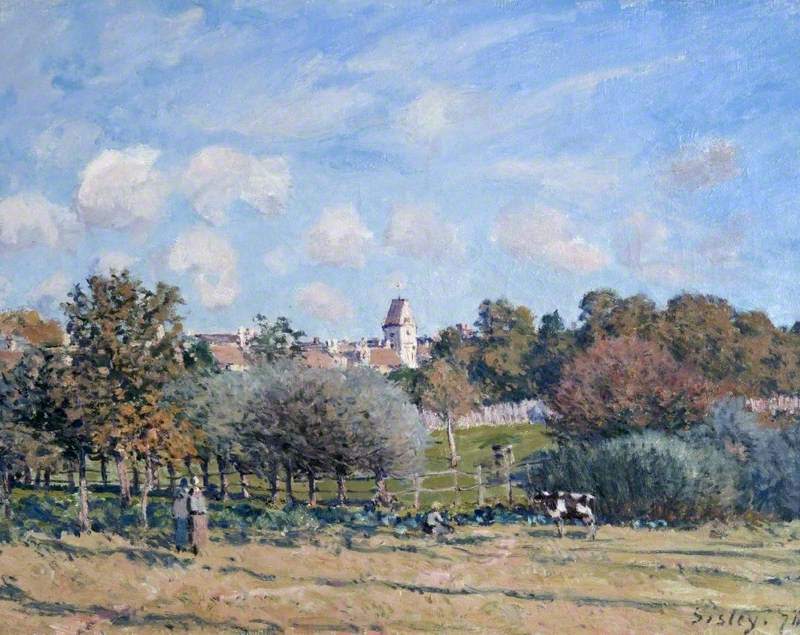 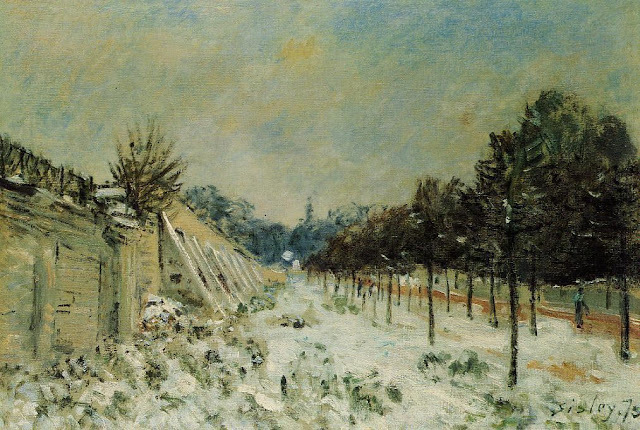 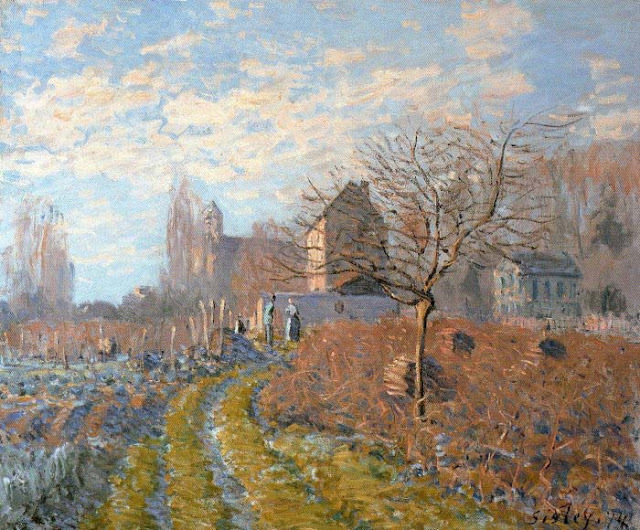 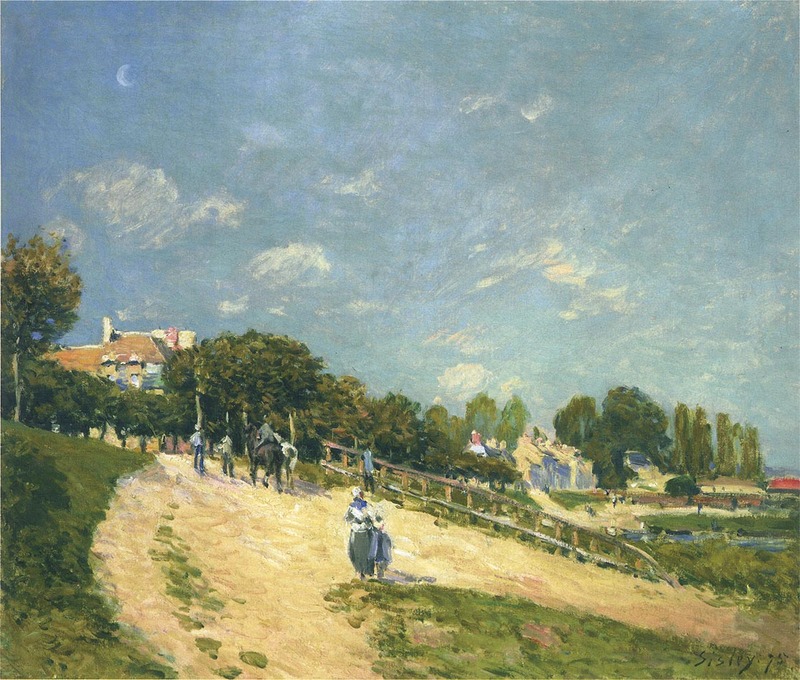 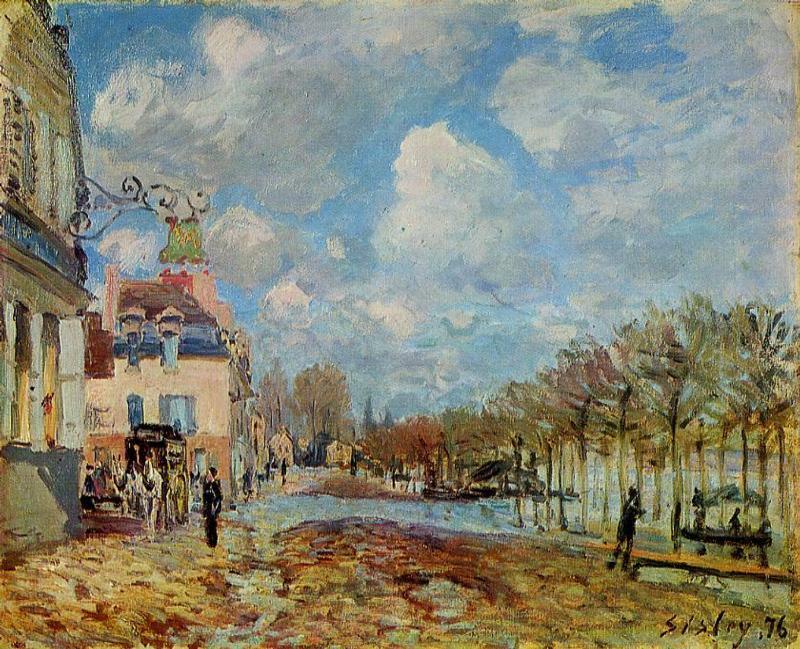 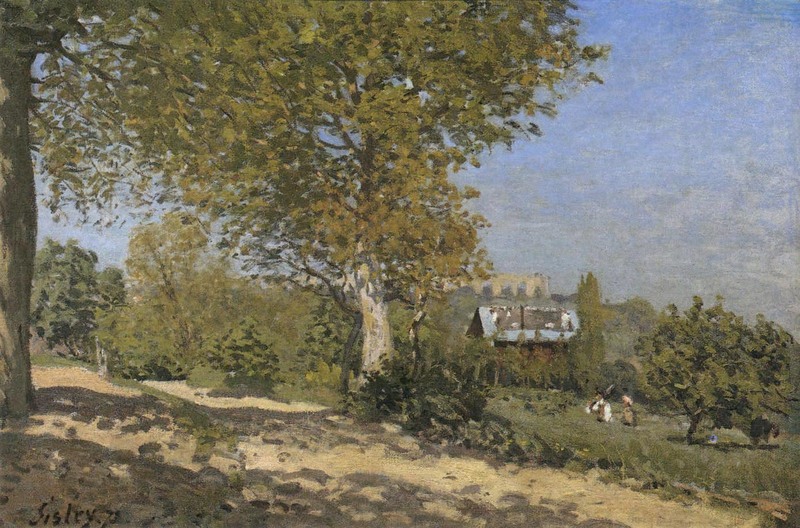 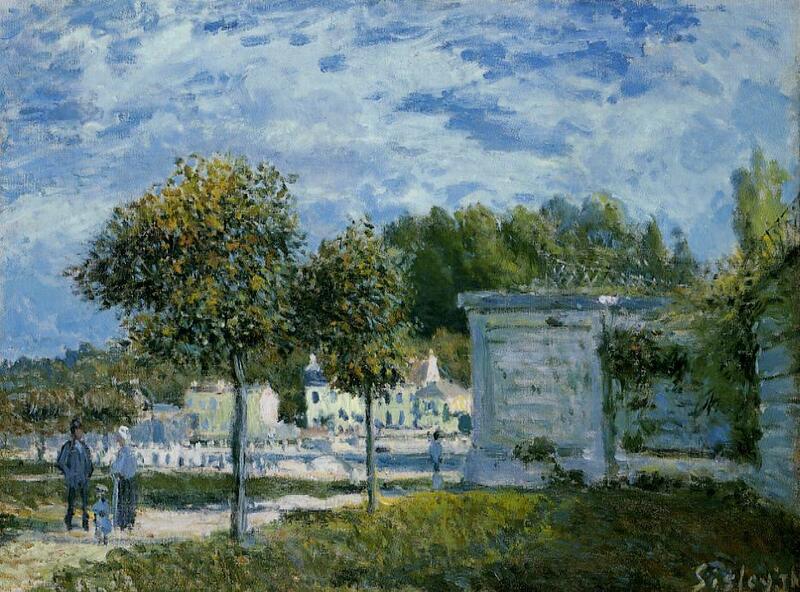 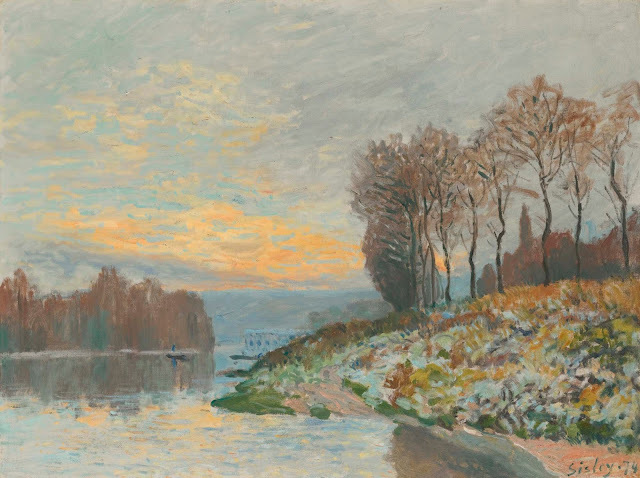 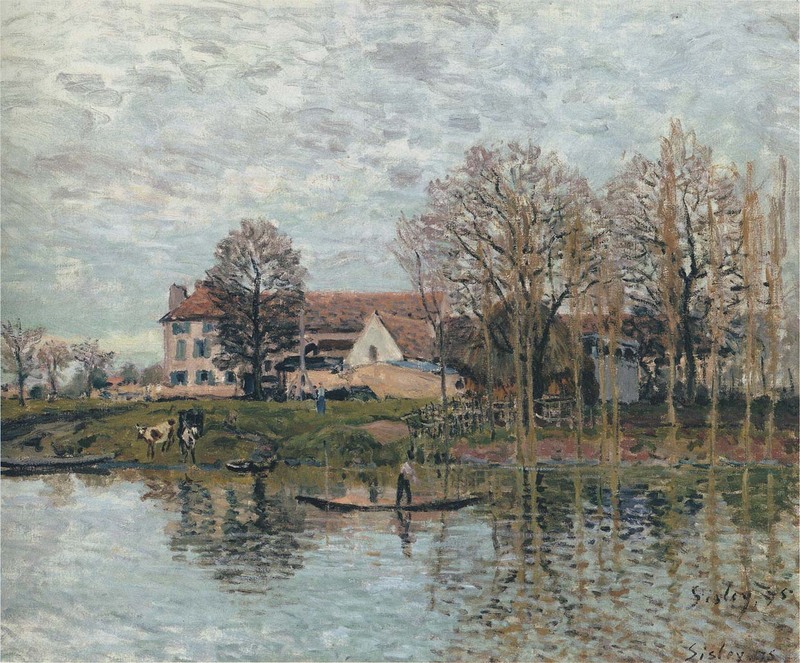 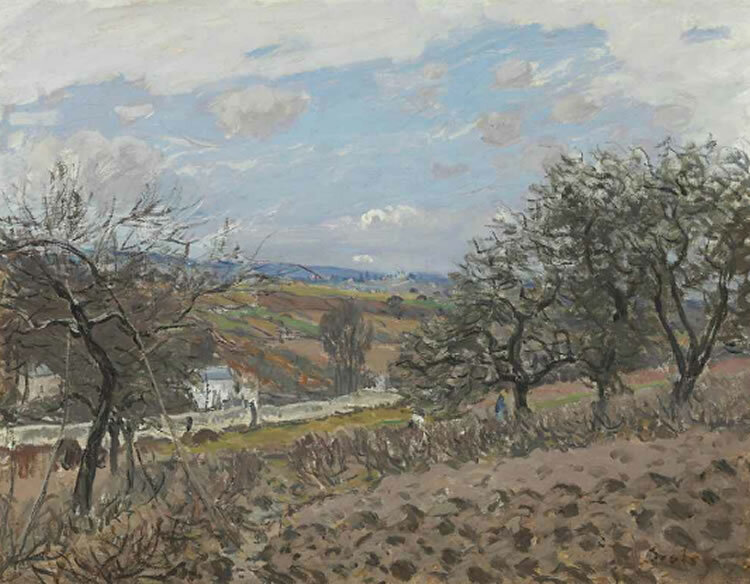 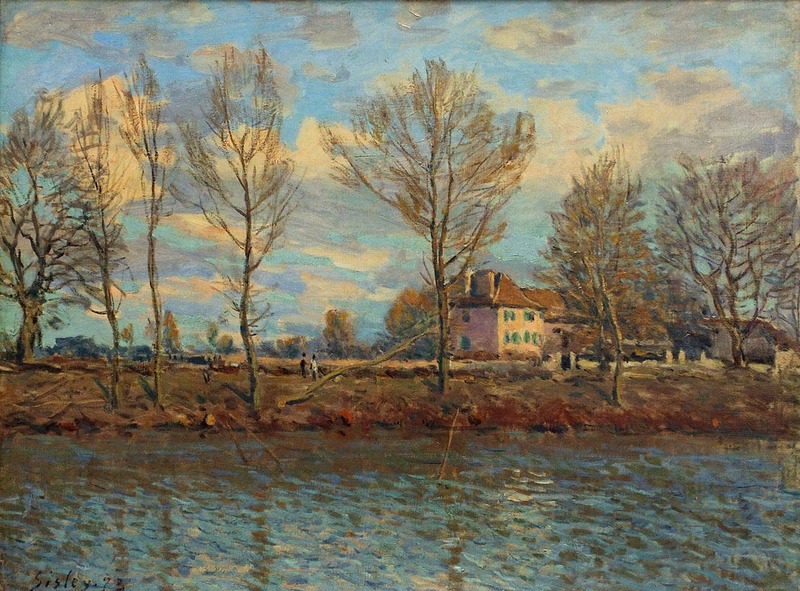 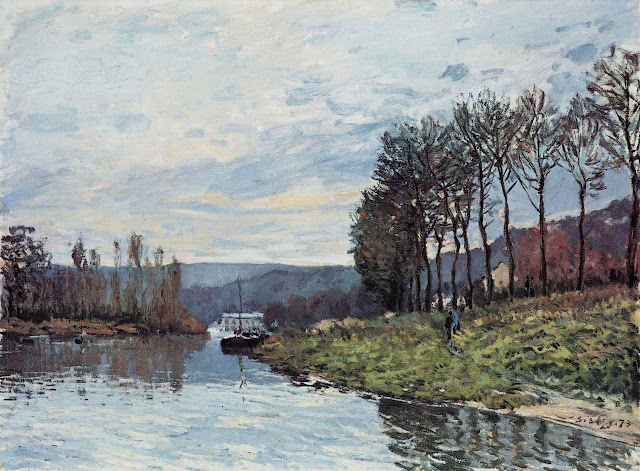 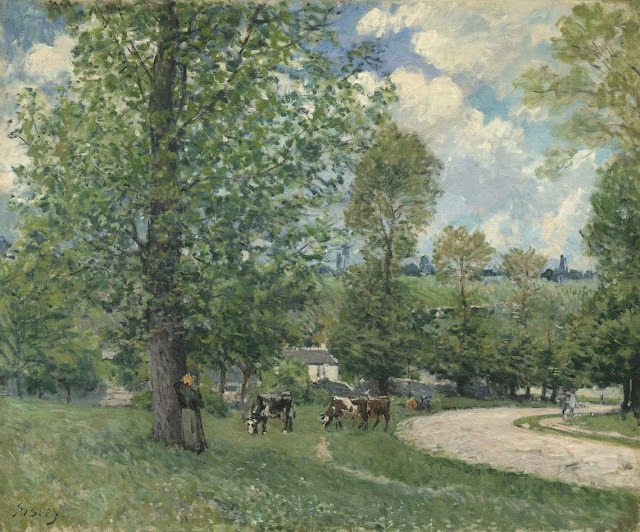 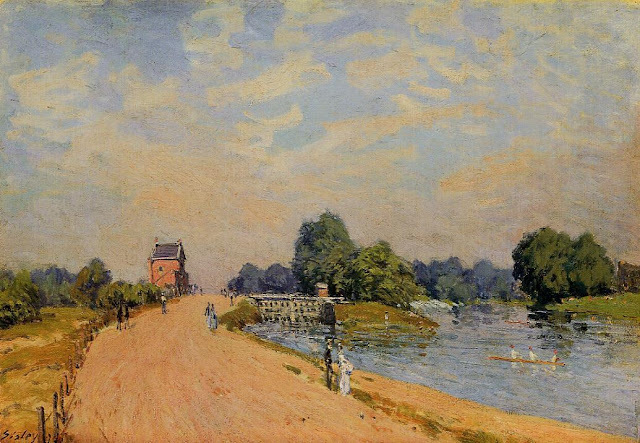 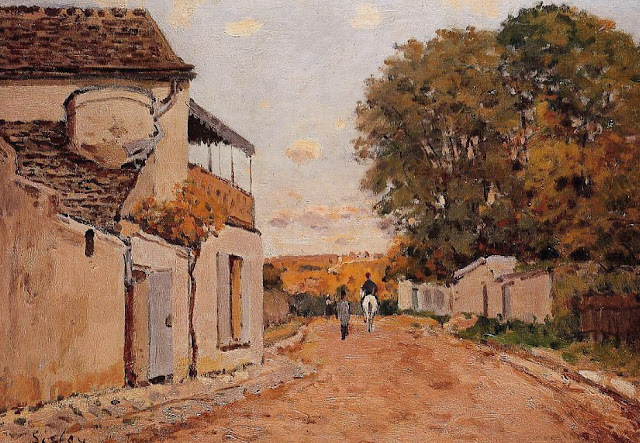 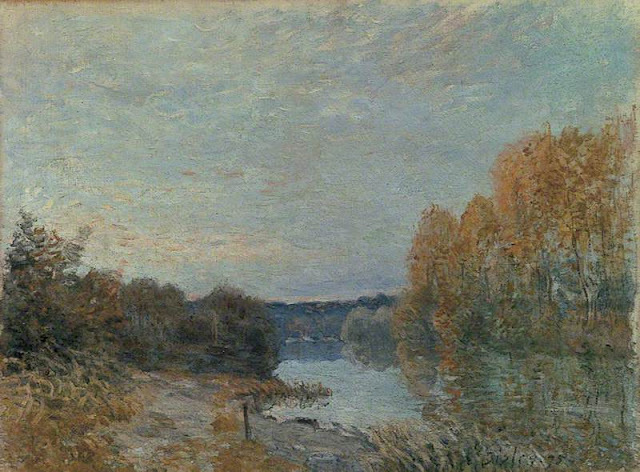 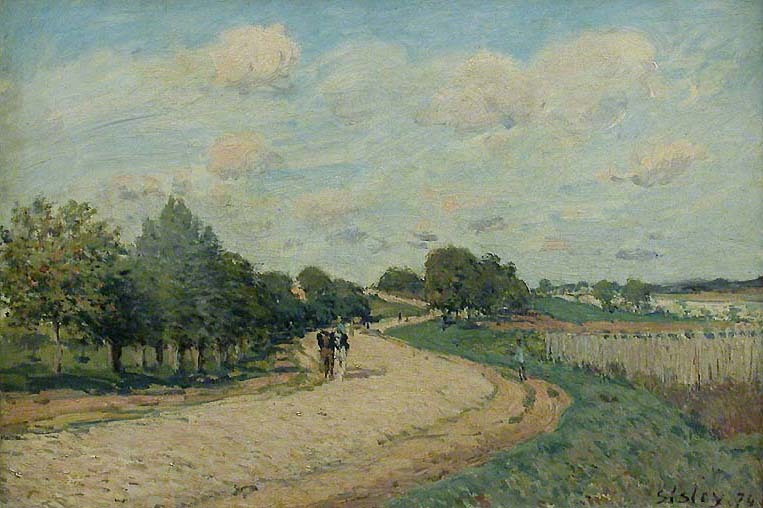 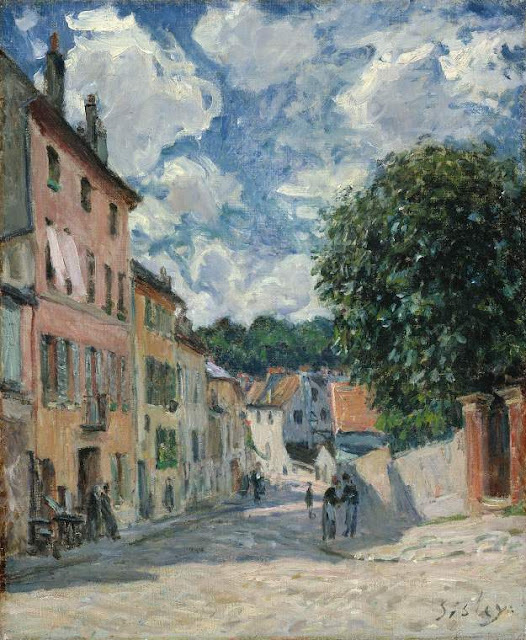 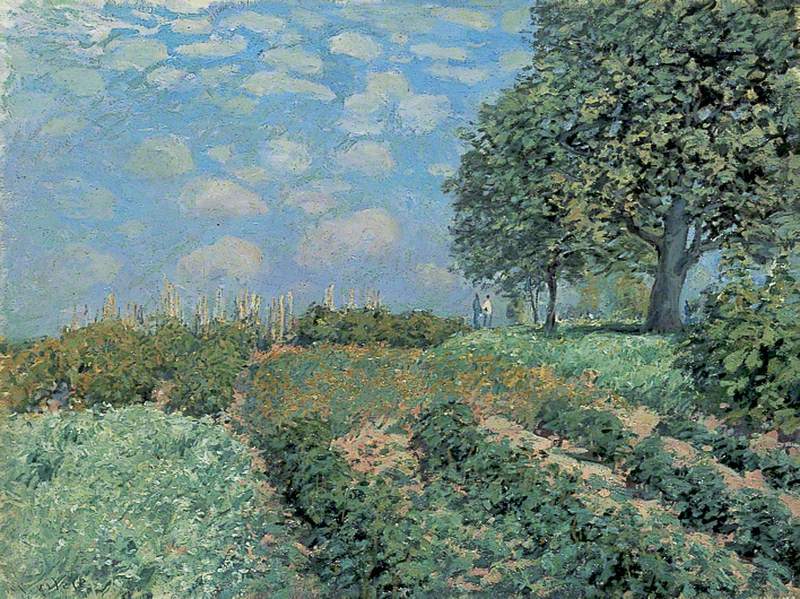 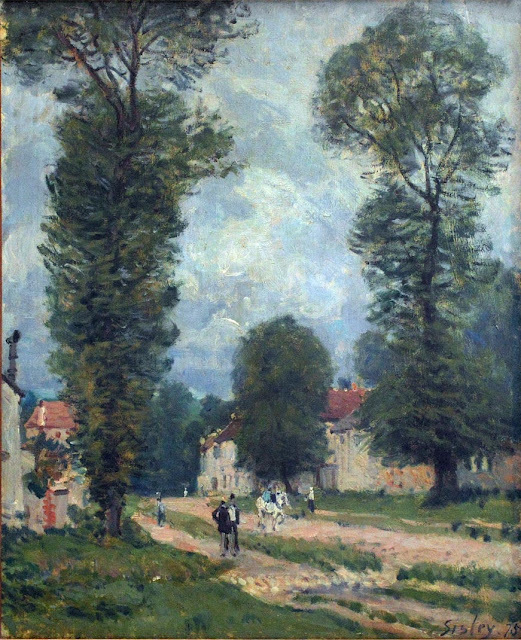 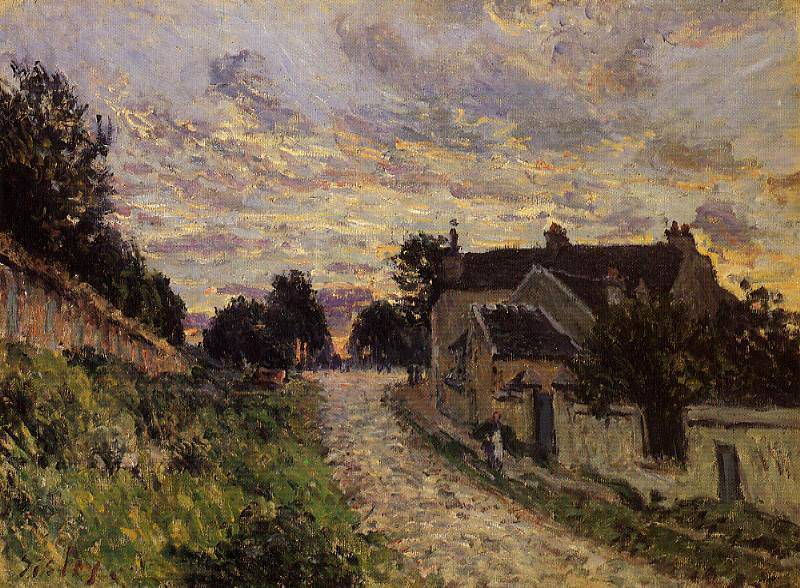 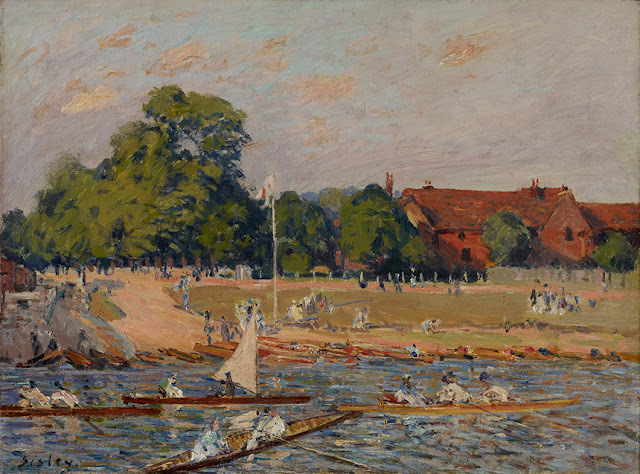 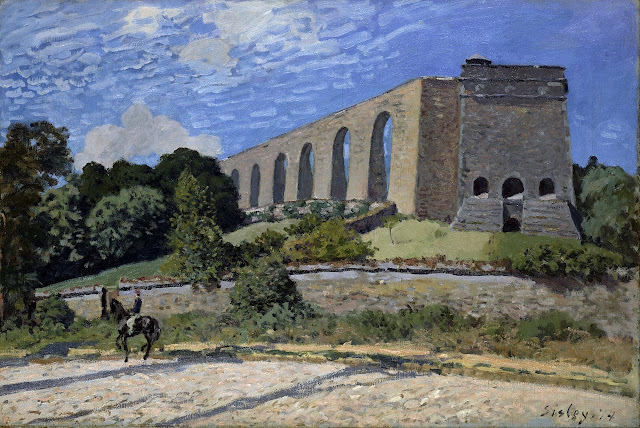 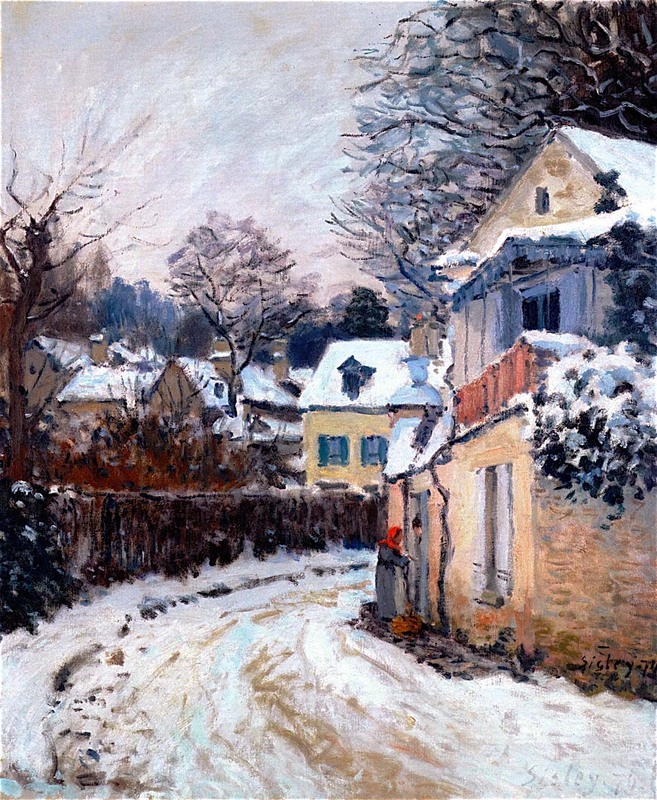 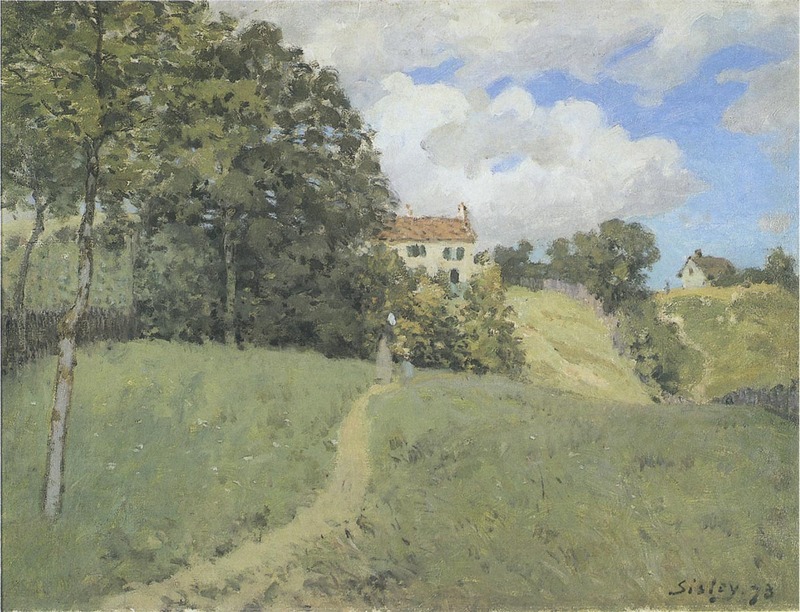 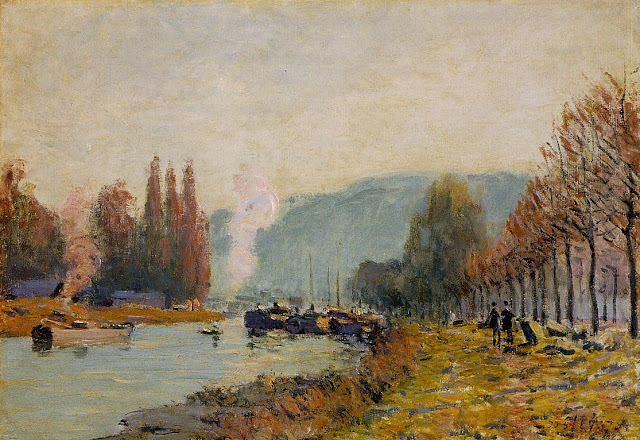 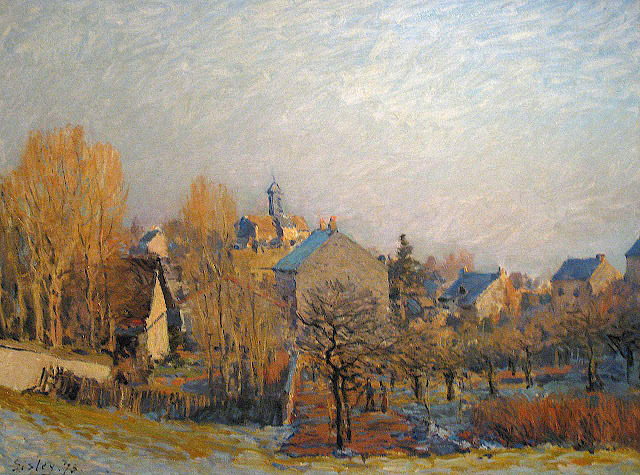 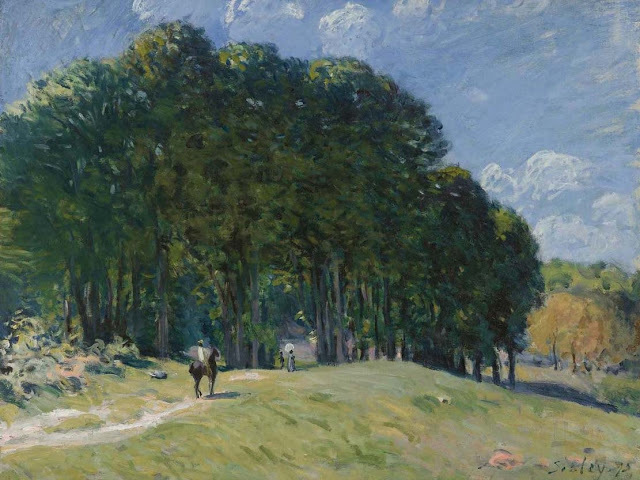 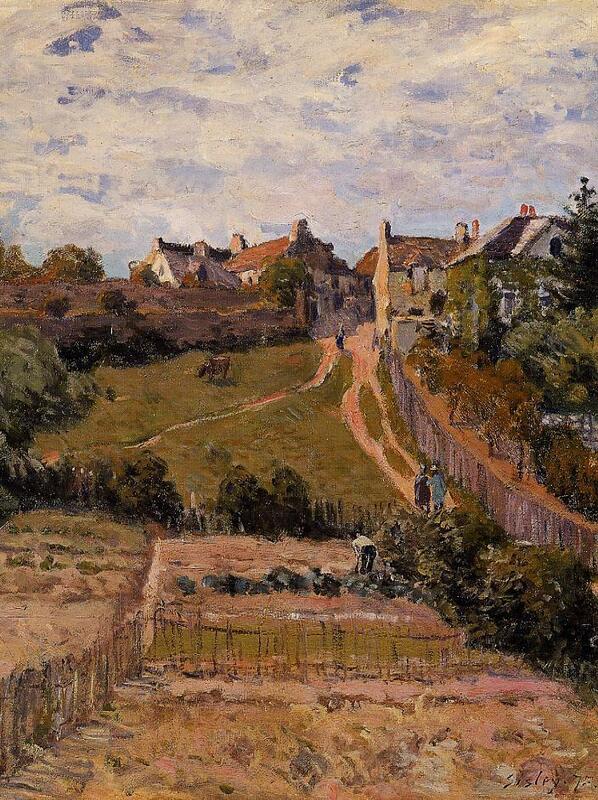 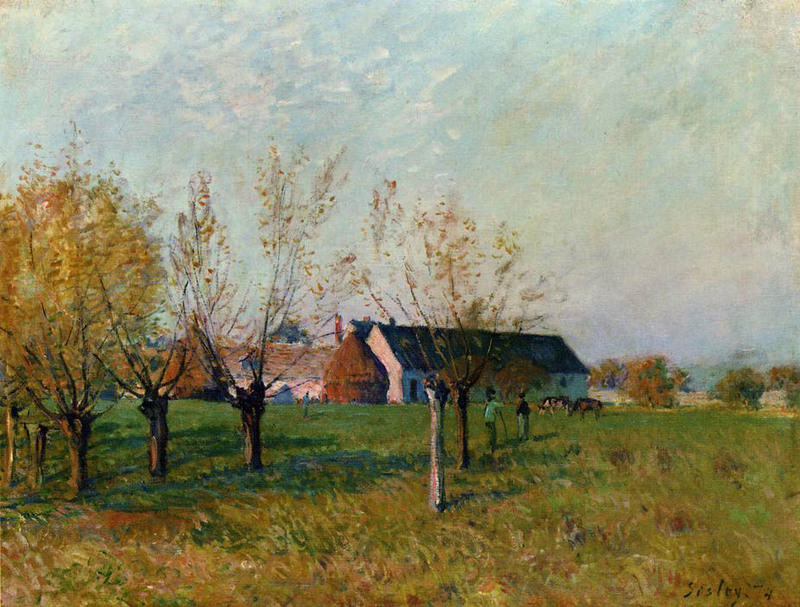 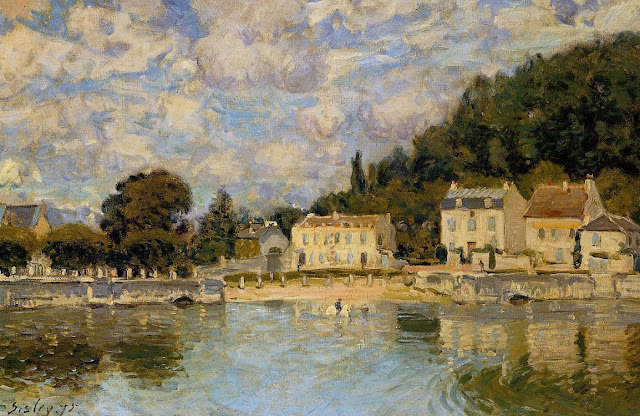 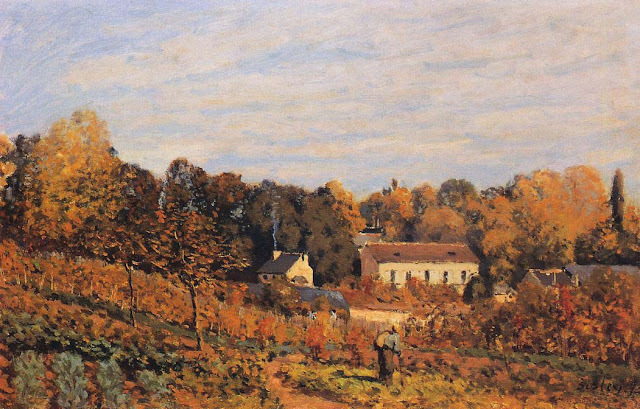 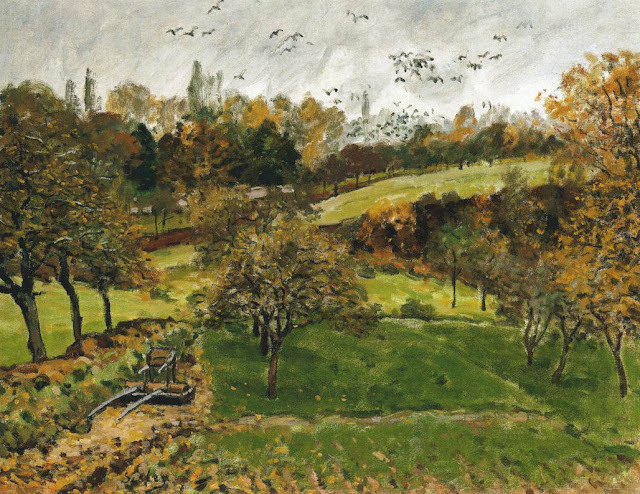 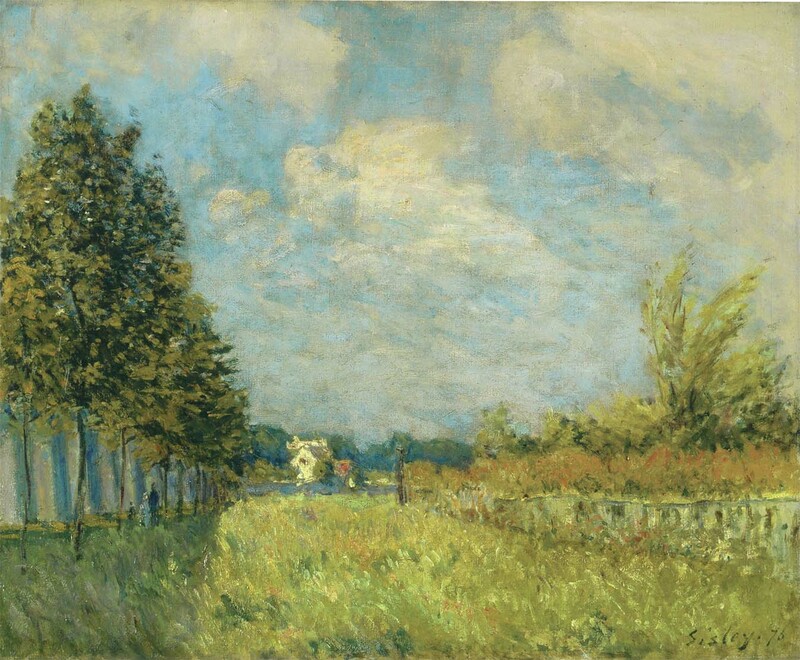 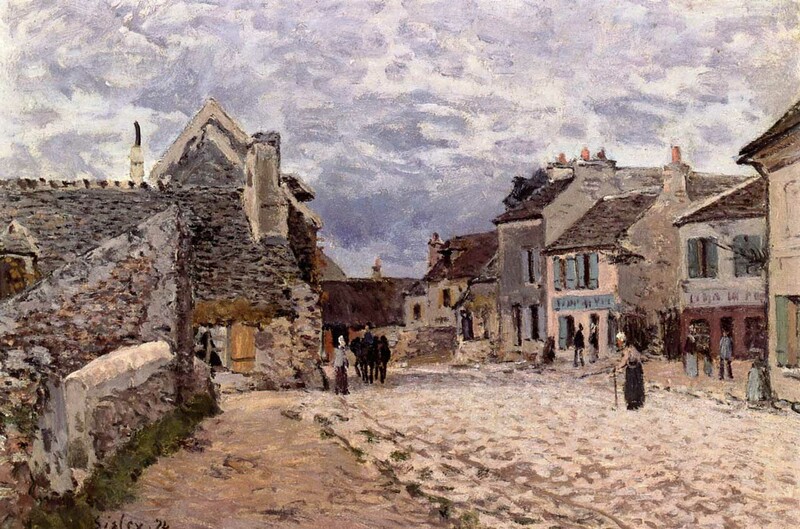 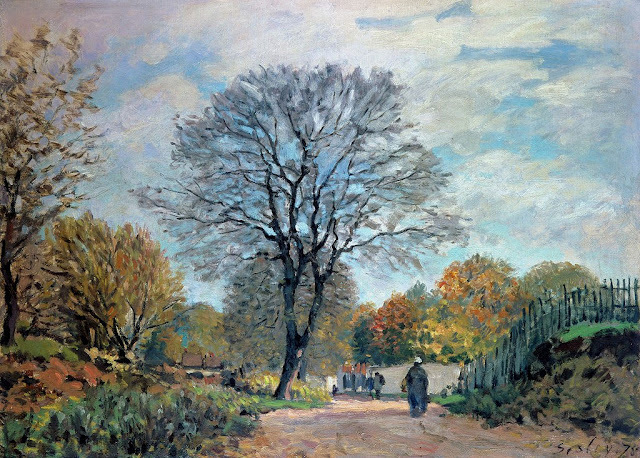 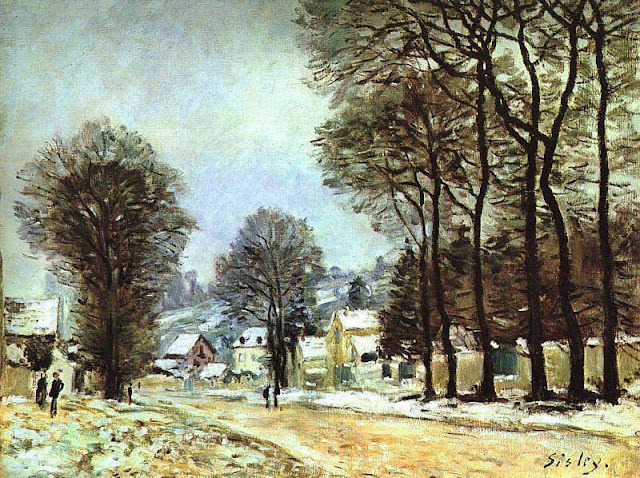 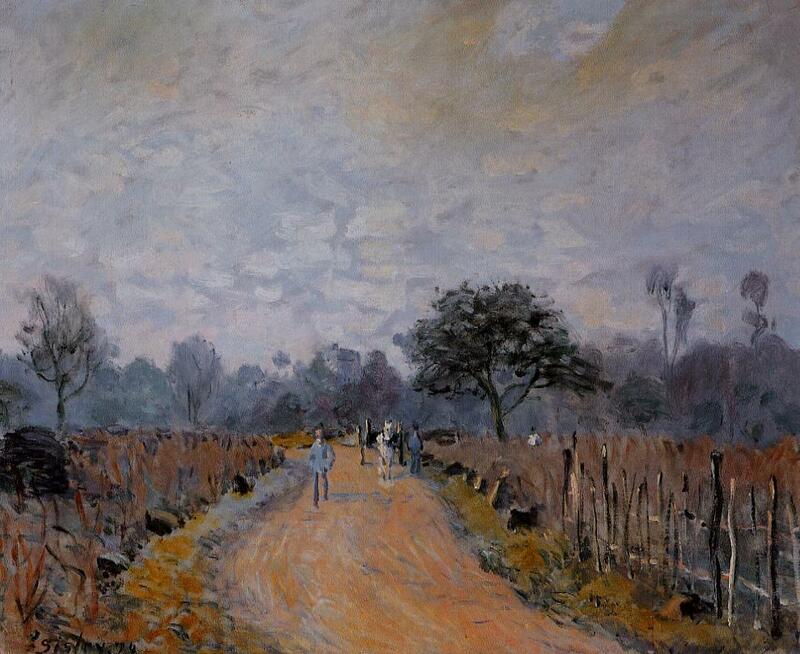 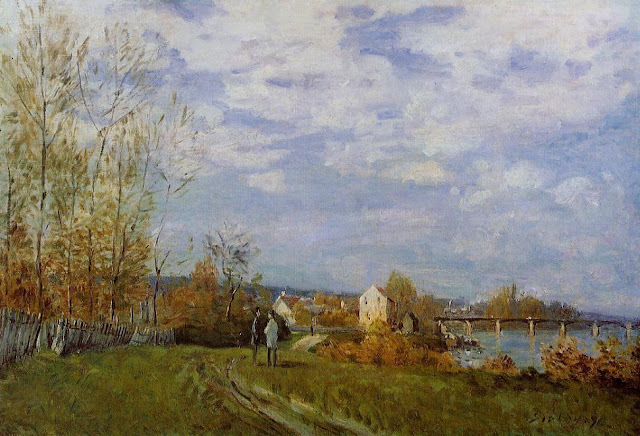 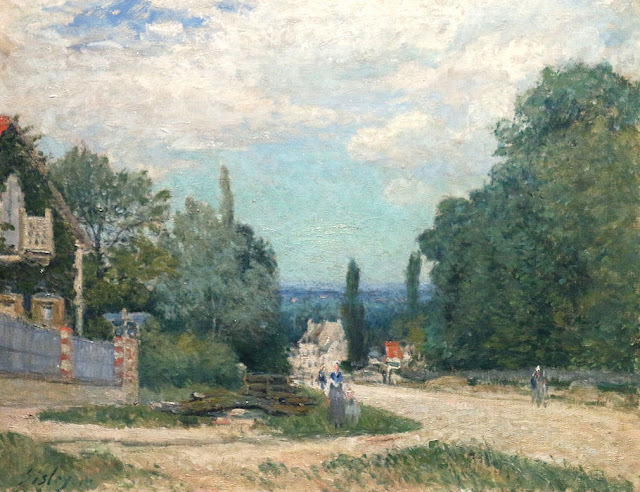 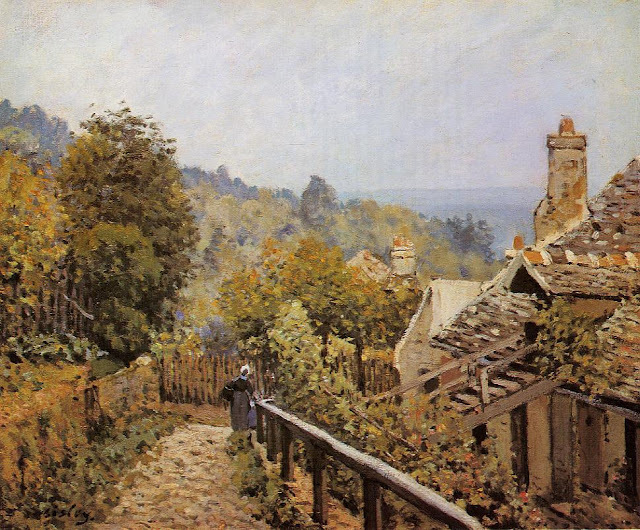 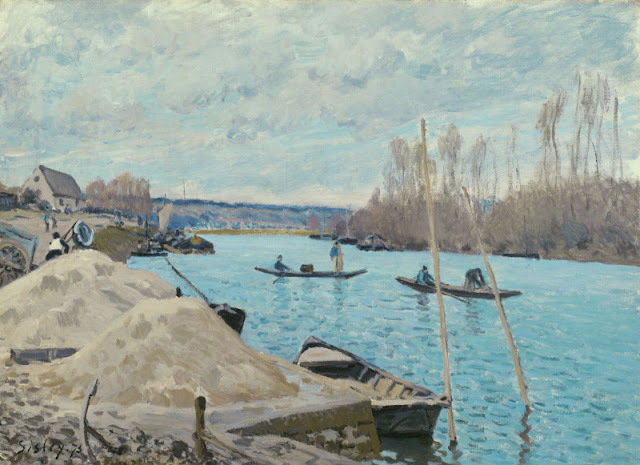 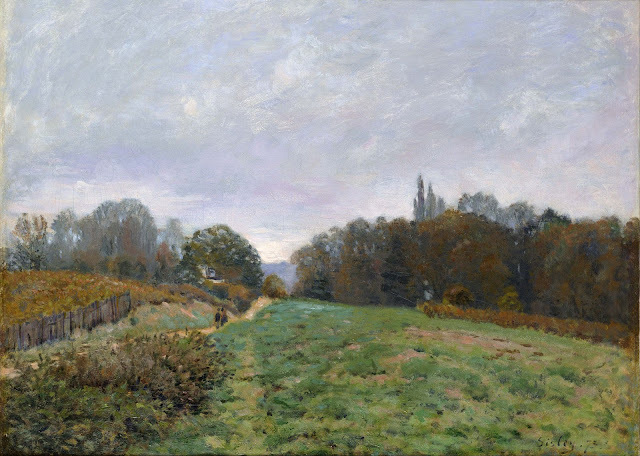 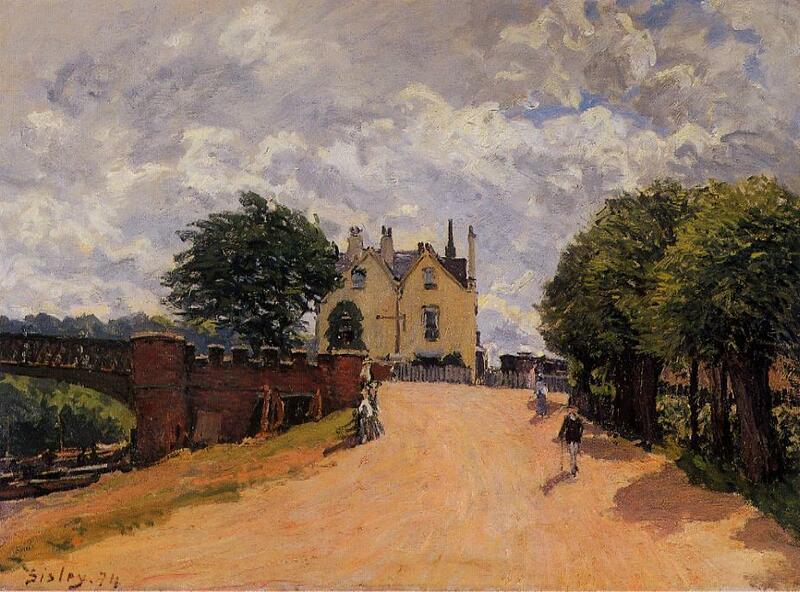 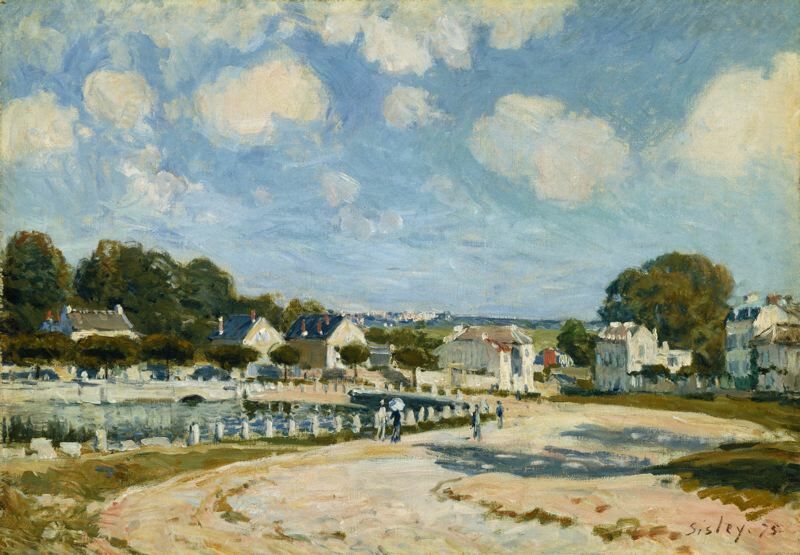 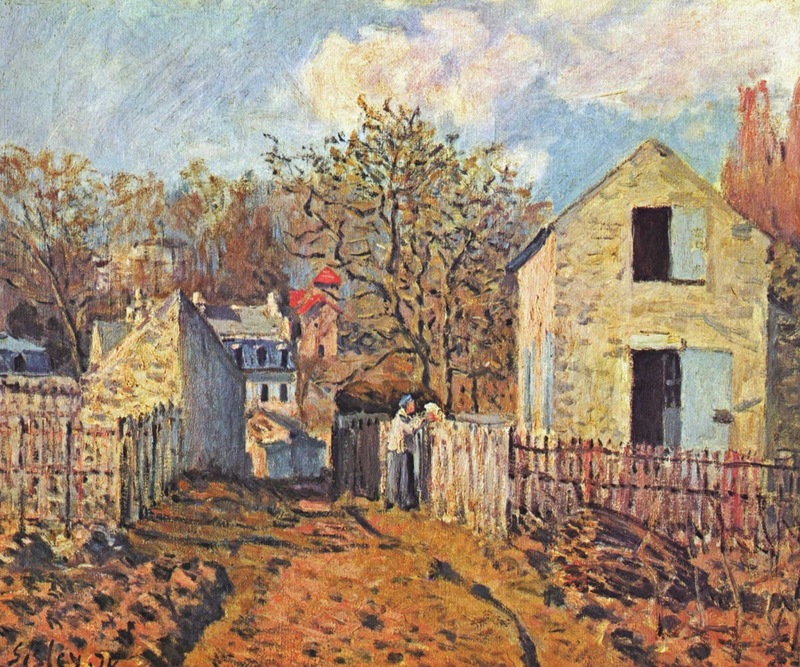 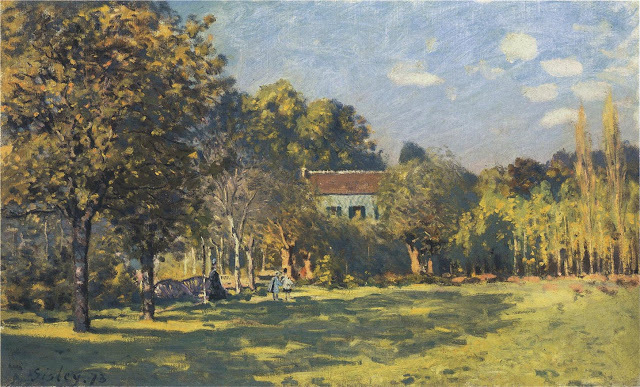 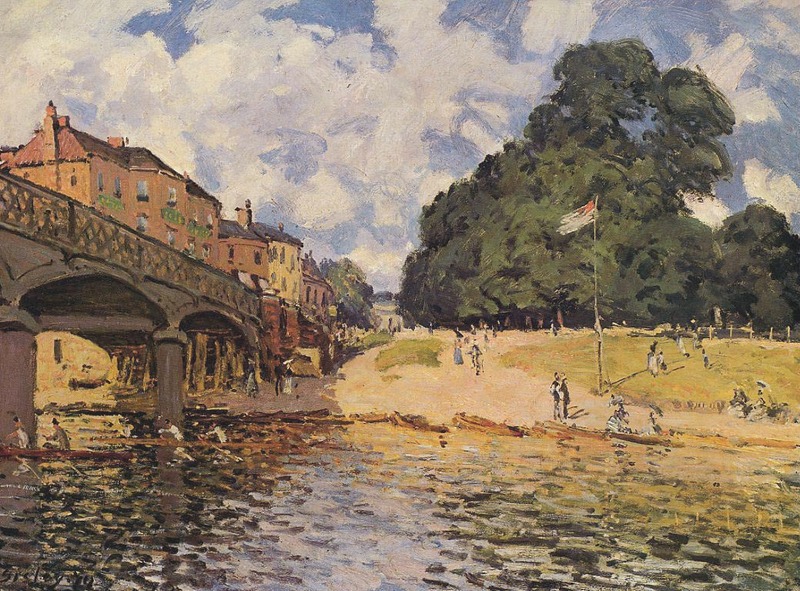 Alfred Sisley (1839 – 1899) Impressionist landscape painter, born in Paris of expatriate English parents. 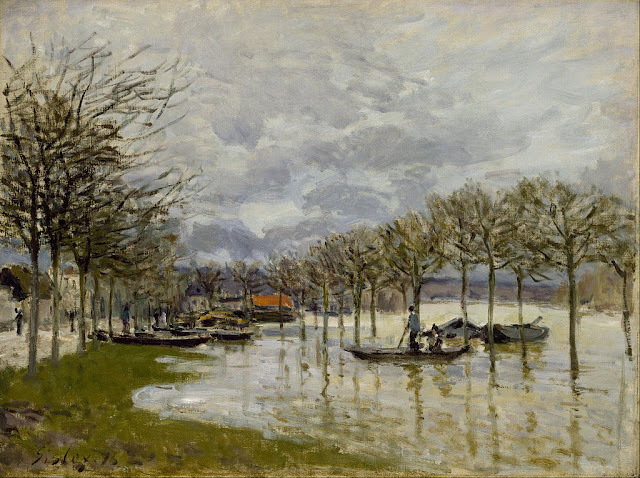 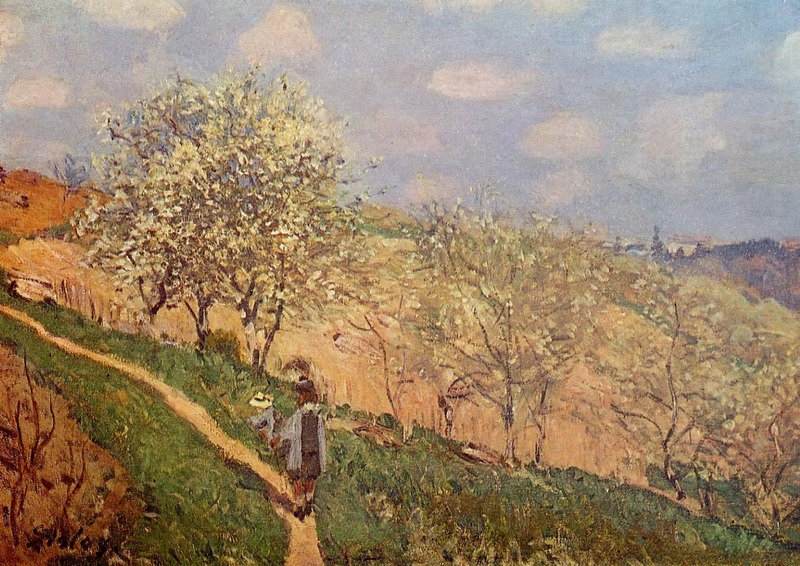 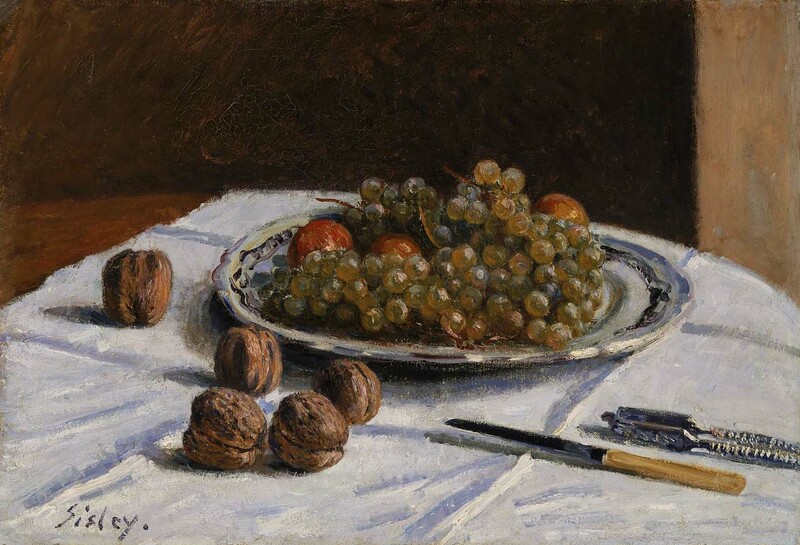 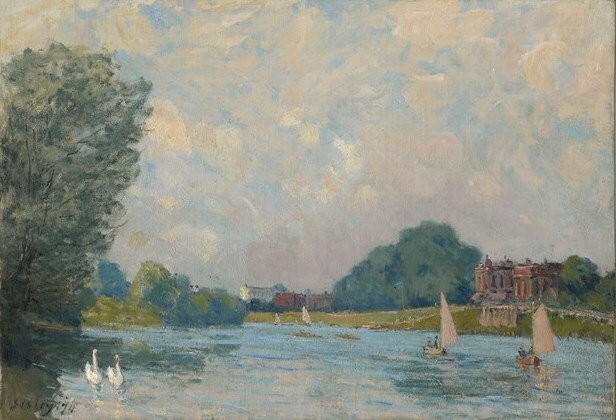 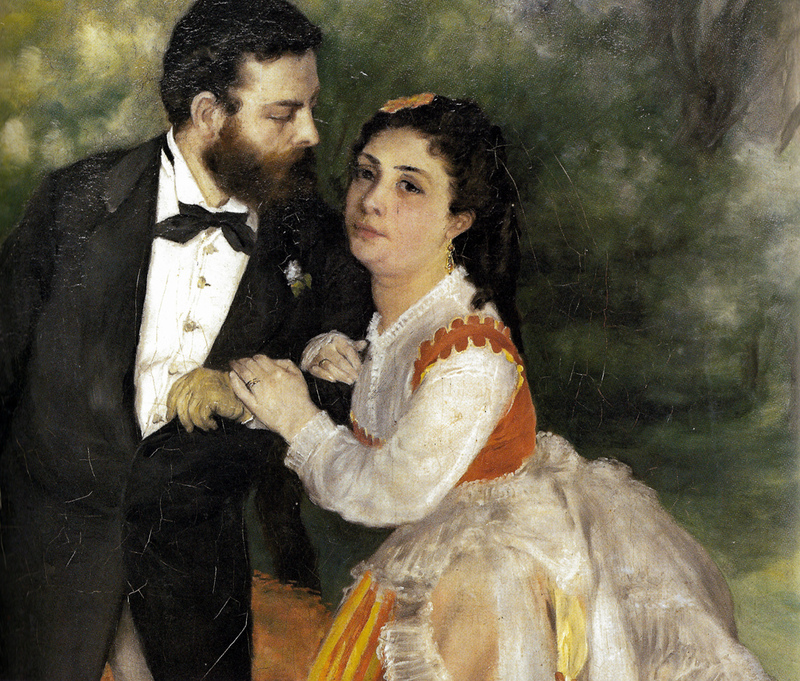 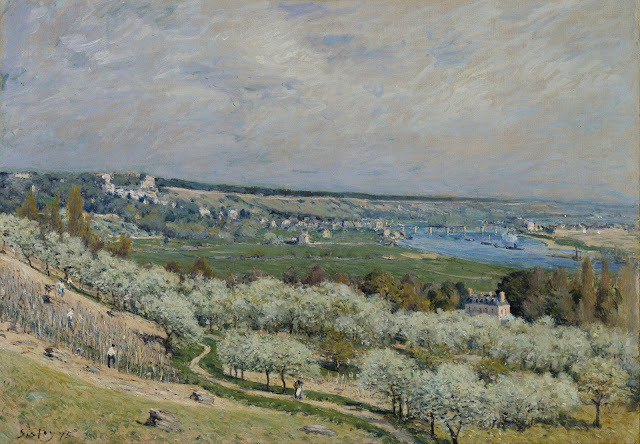 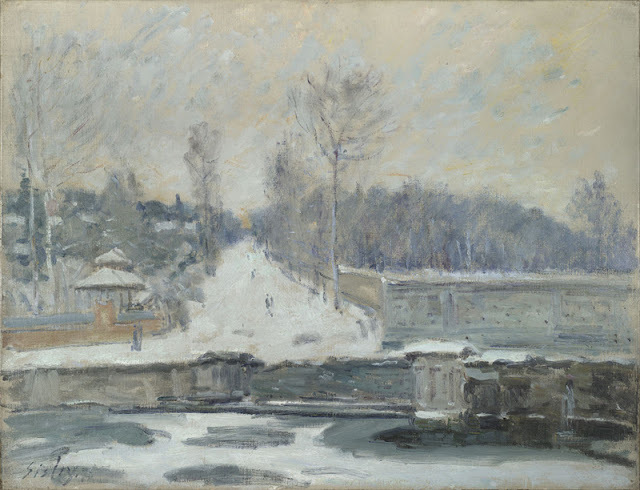 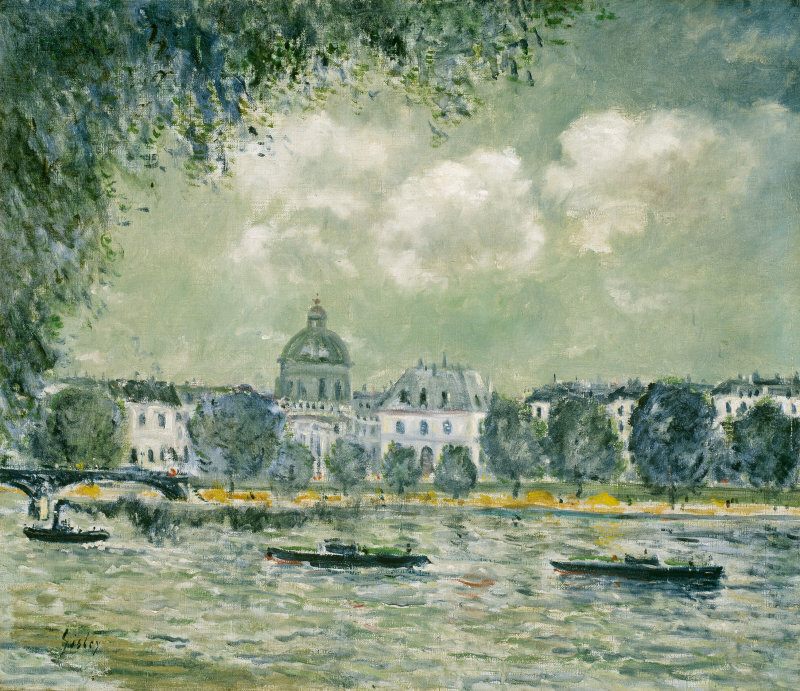 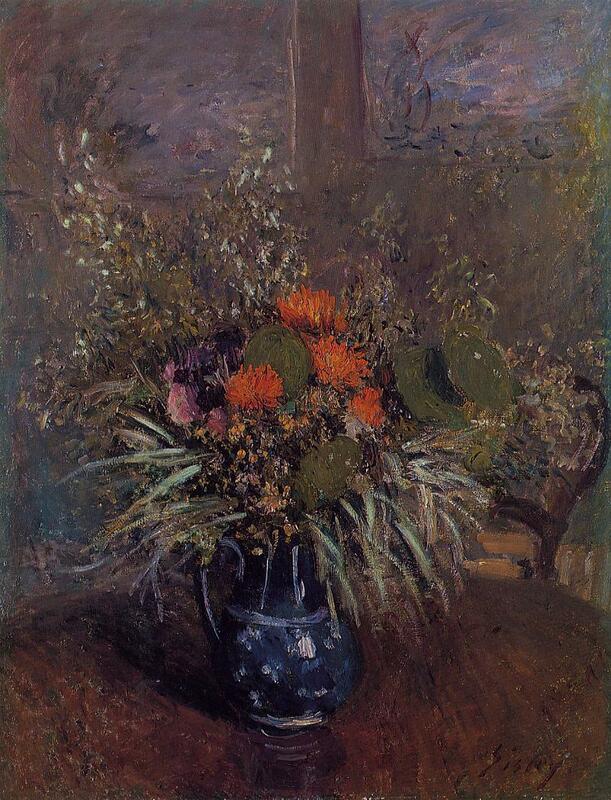 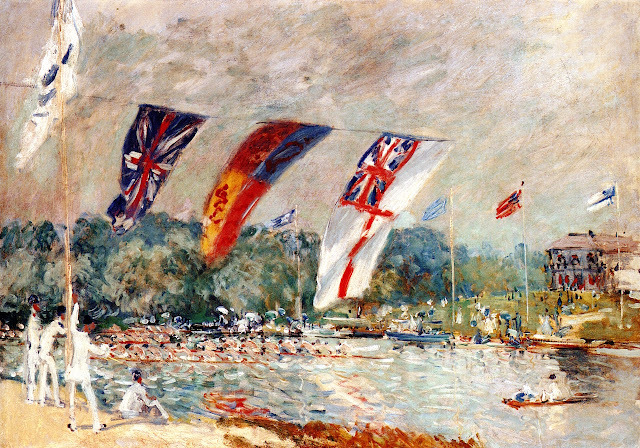 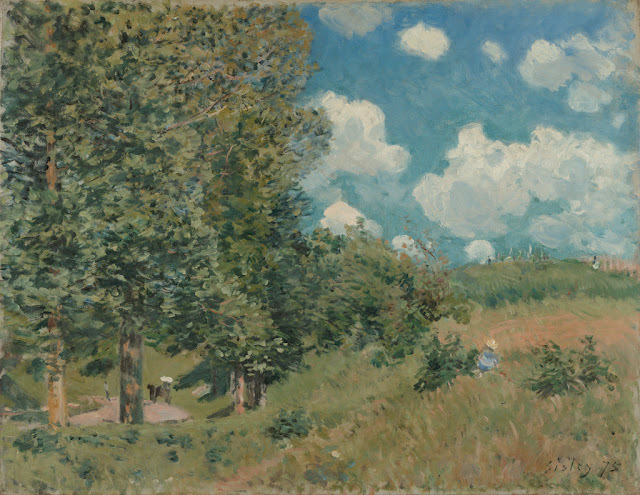 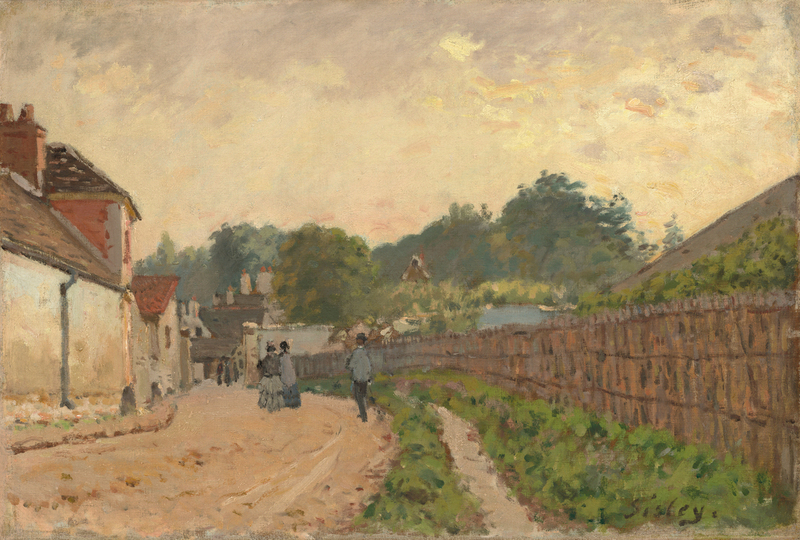 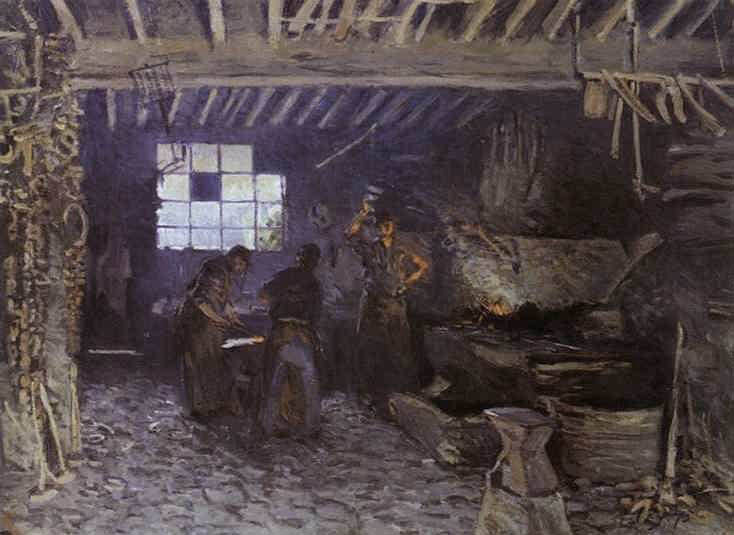 Exhibited with the Impressionists in 1874, 1876, 1877 and 1882, and had his first one-man exhibition at "La Vie Moderne" Paris, in 1883. 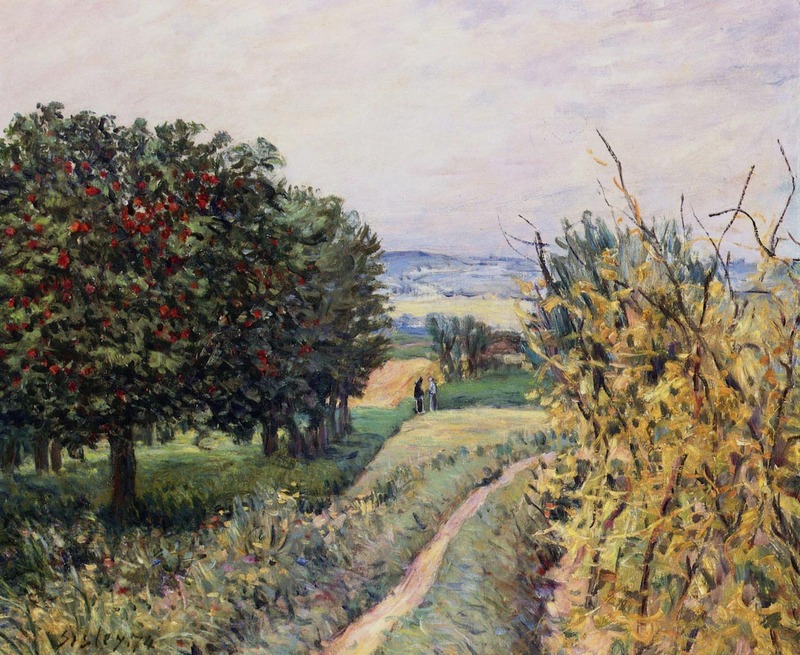 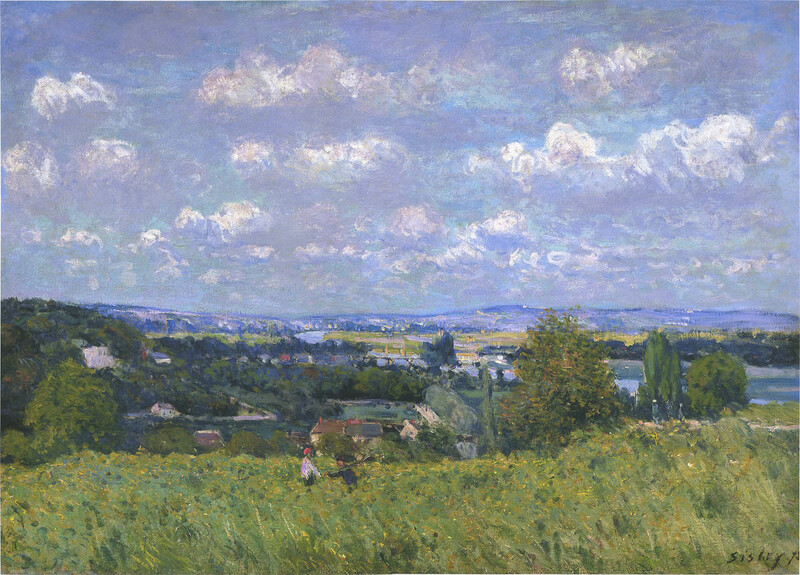 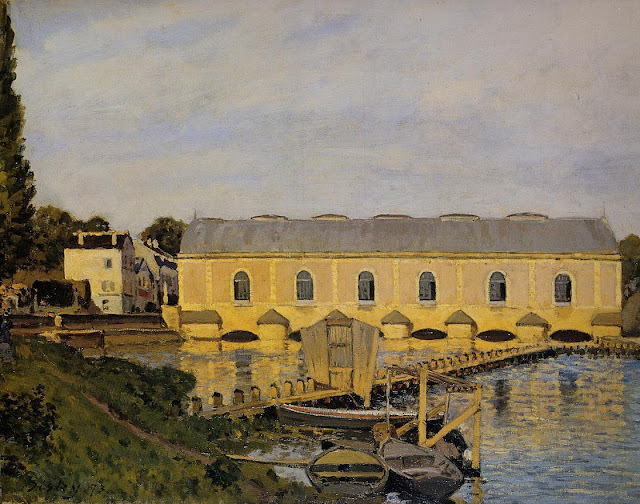 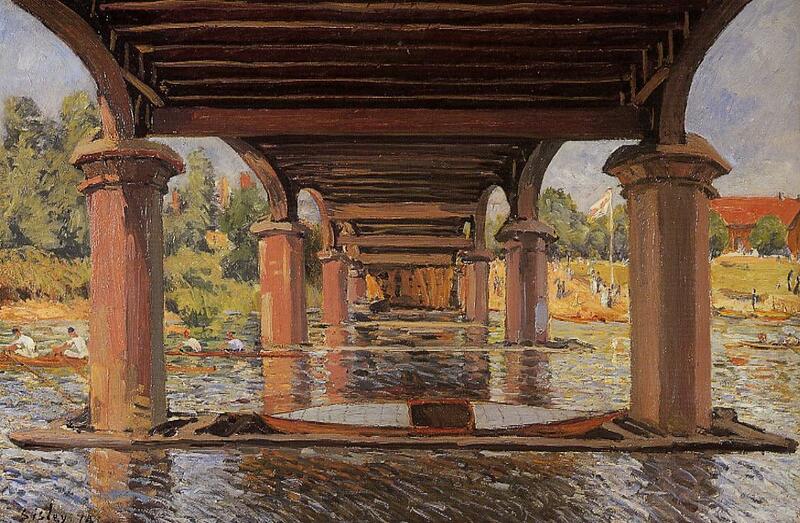 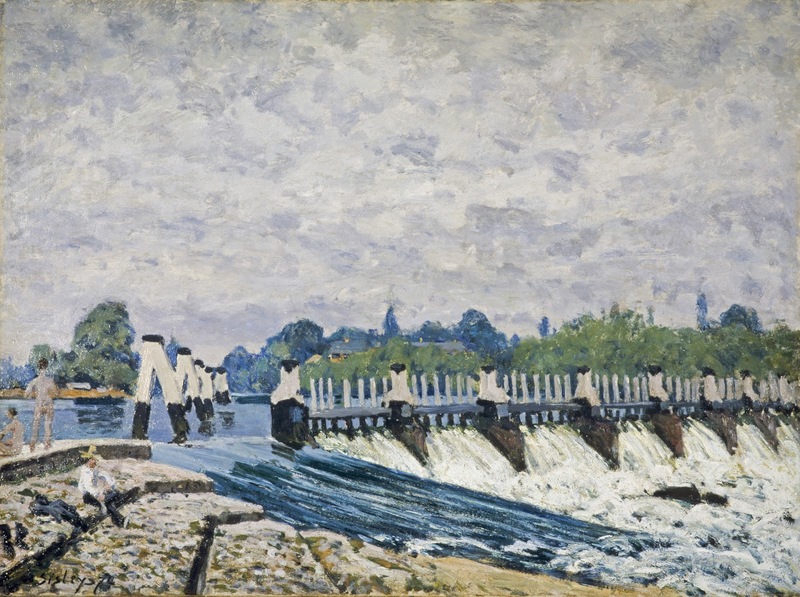 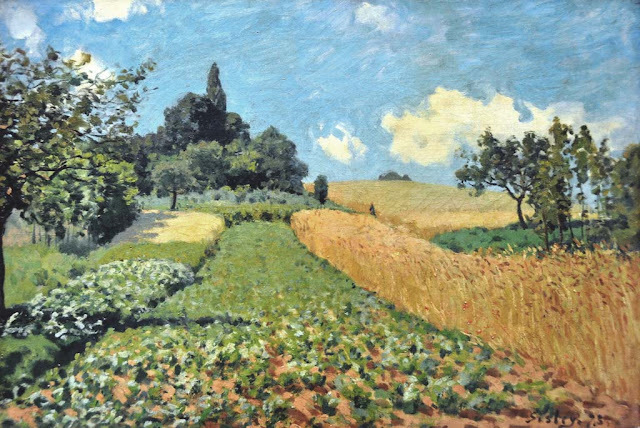 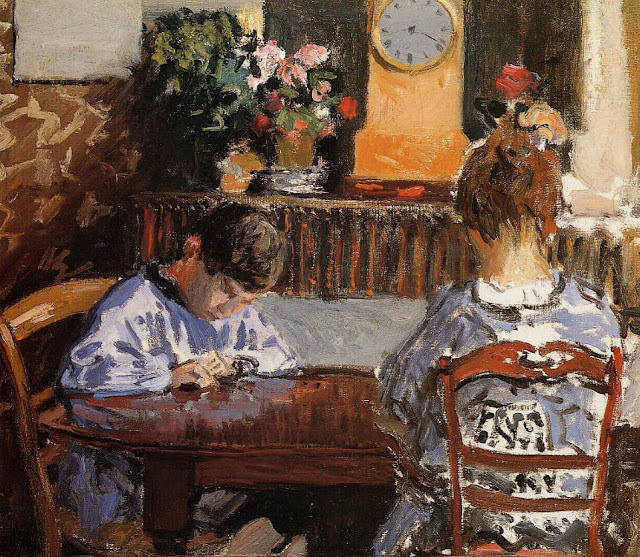 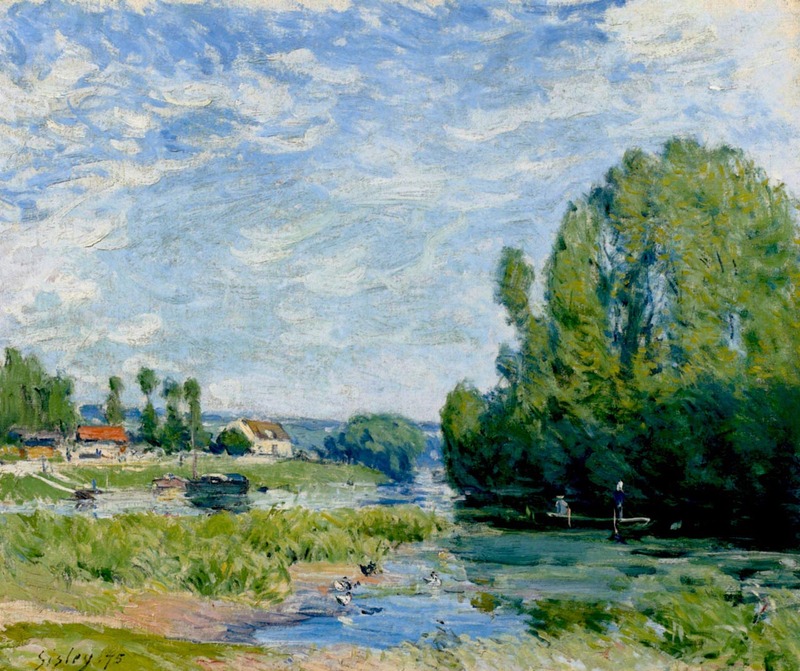 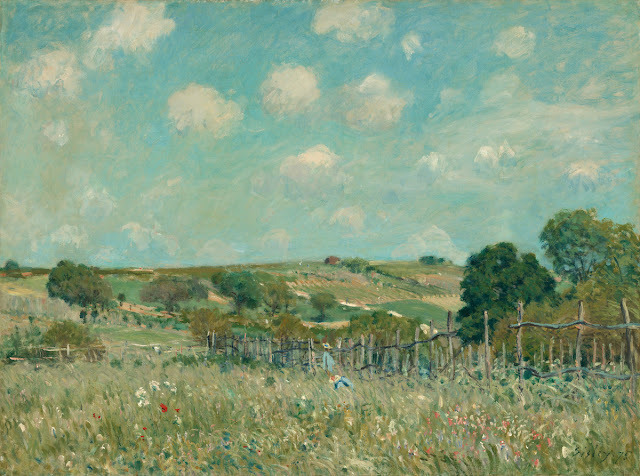 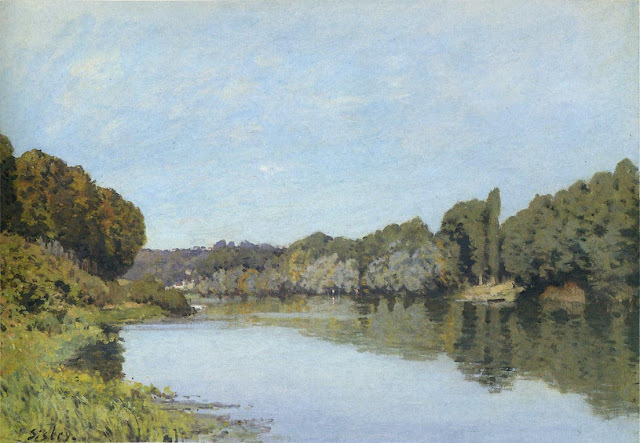 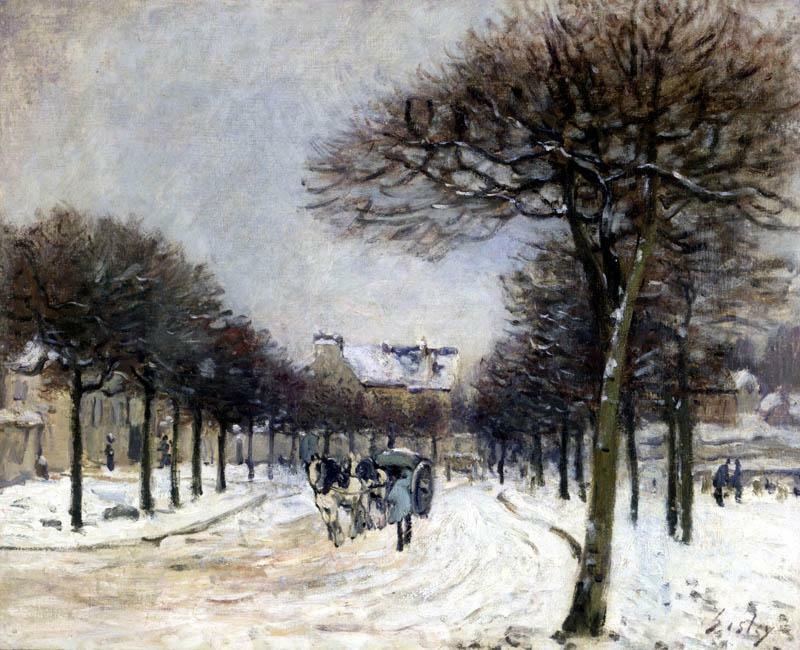 In 1880 he settled near Moret-sur-Loing, and painted most of his late works there. 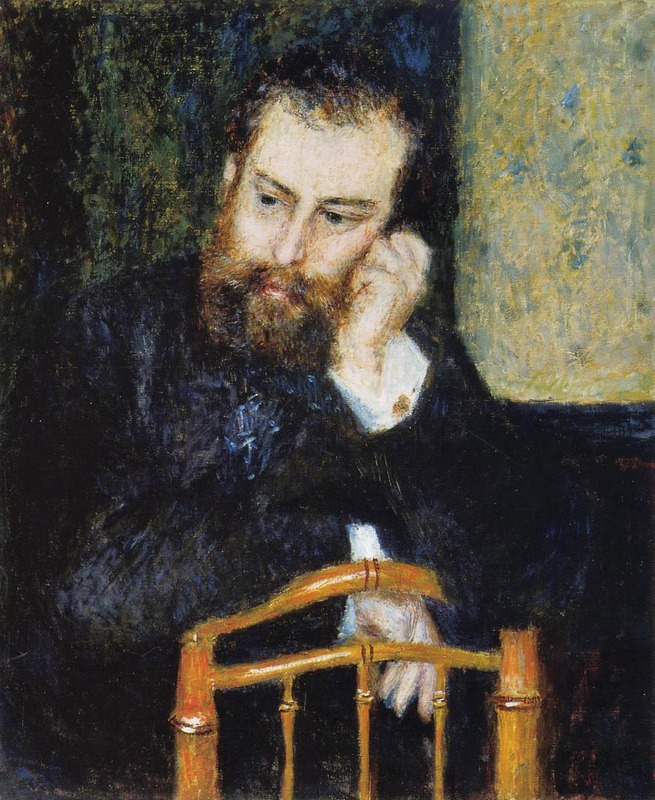 For more biographical notes see part 1, and for earlier works, see parts 1 and 2 also.